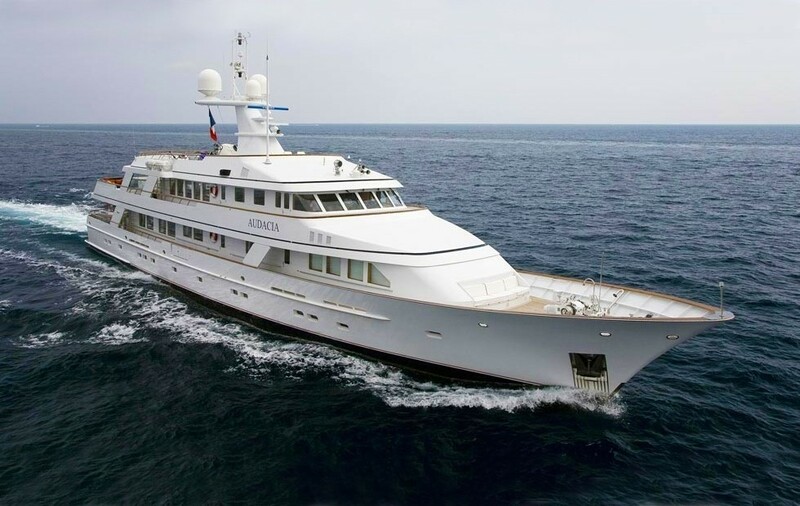 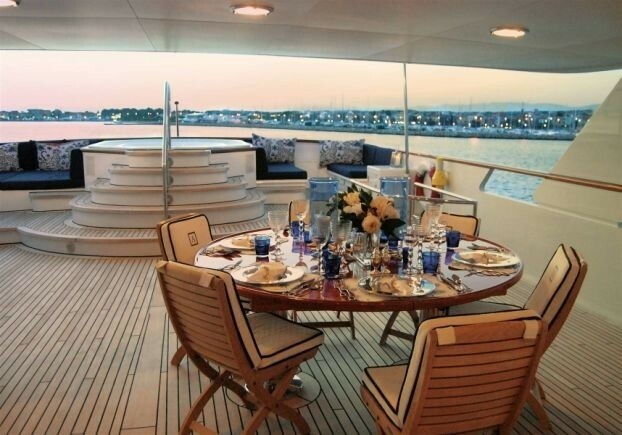 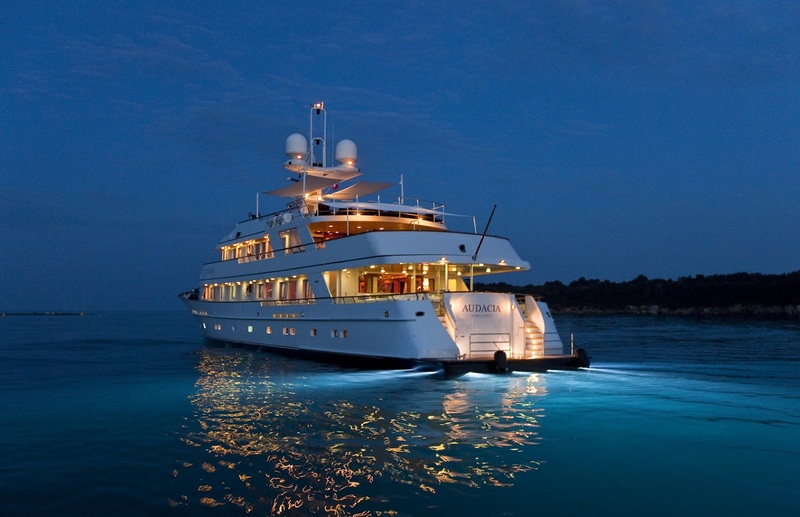 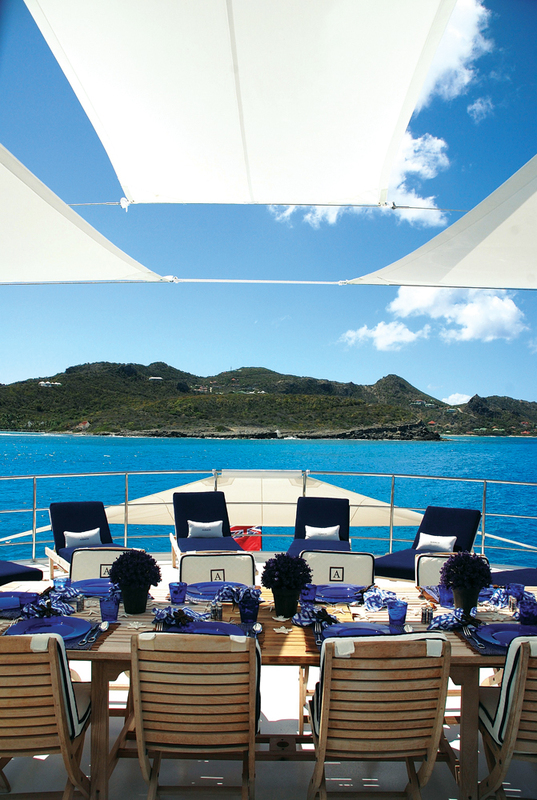 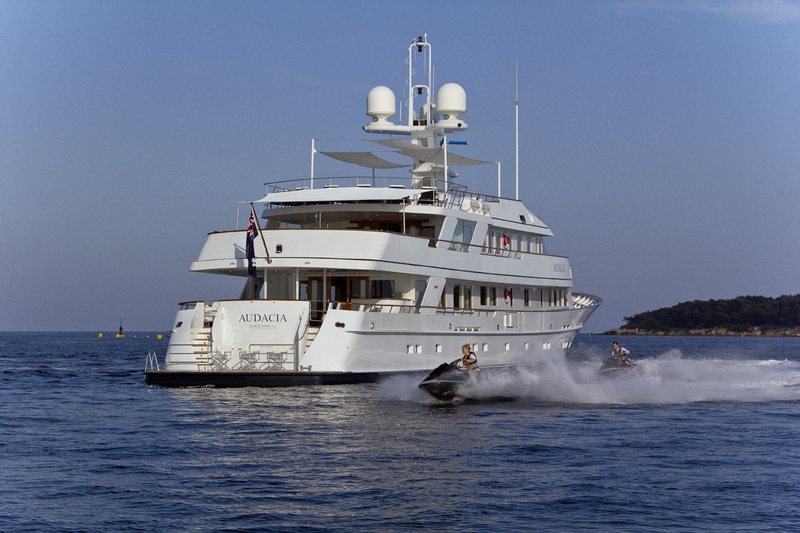 Luxury Yacht AUDACIA (ex CONFIDANTE) is beautiful Feadship as originally launched in Holland in 1987. 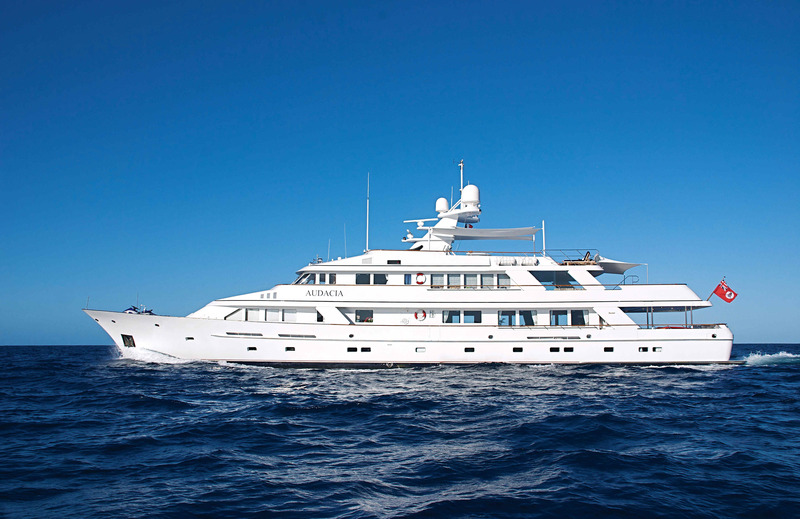 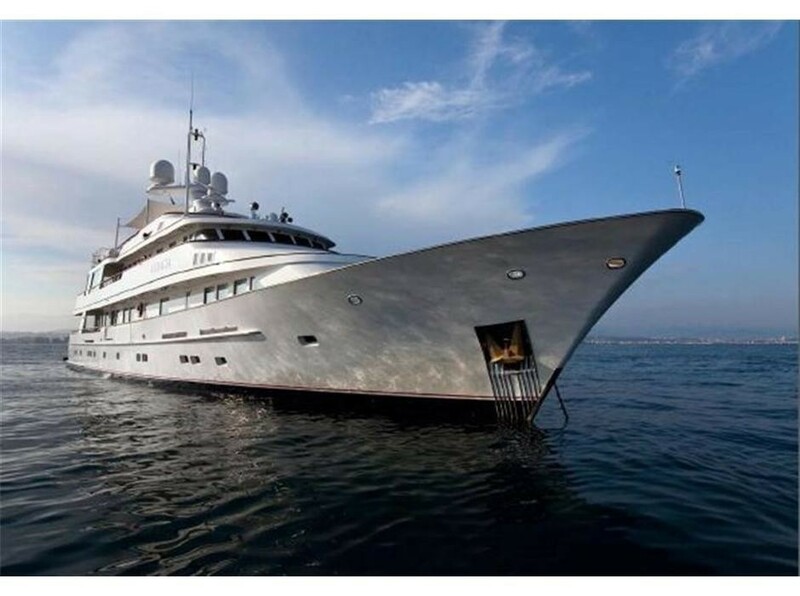 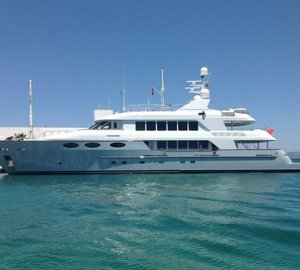 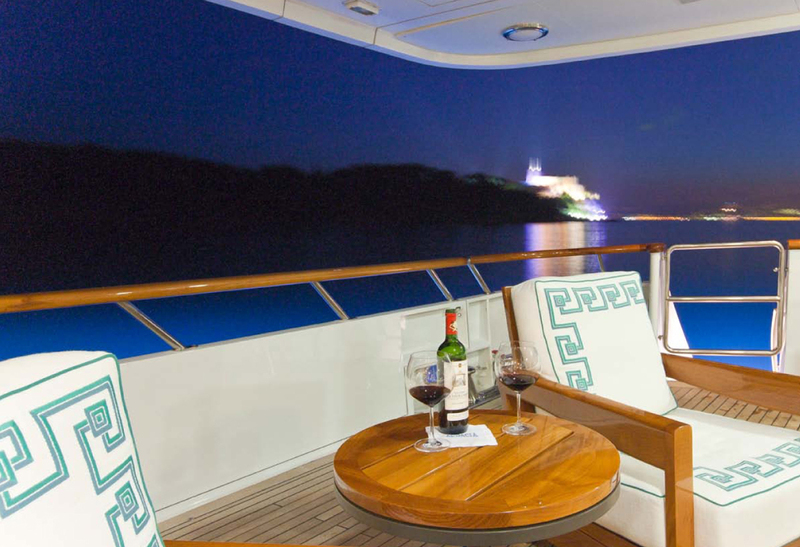 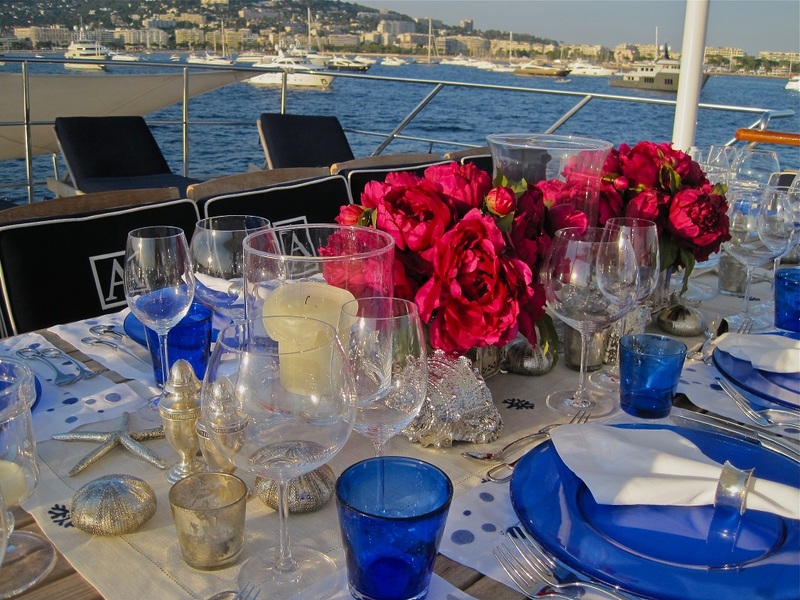 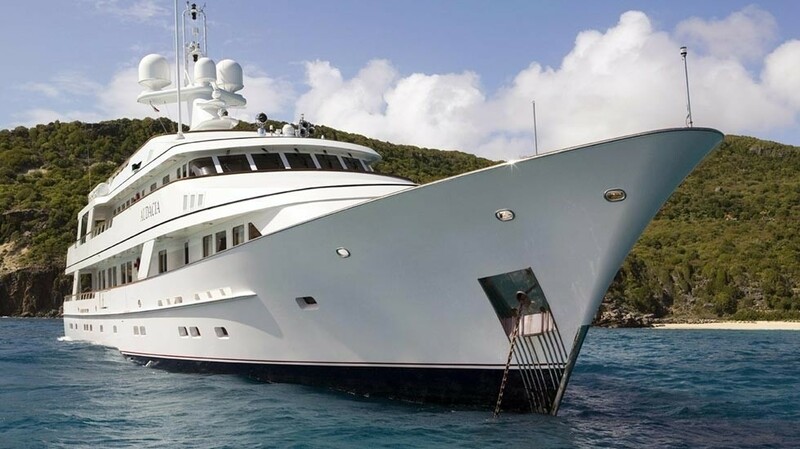 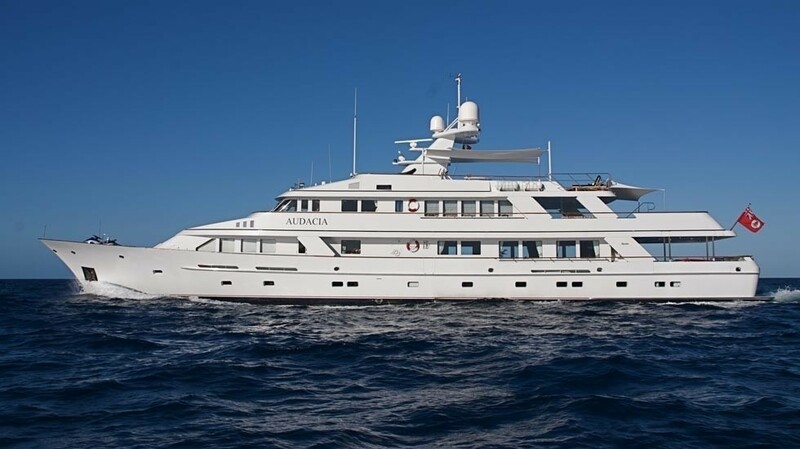 Since then this superb motor yacht has been extensively upgraded culminating in a complete interior refit with interior designer Joanne de Guardiola Sept/Oct 2007 and a refit by Pendennis in 2011. 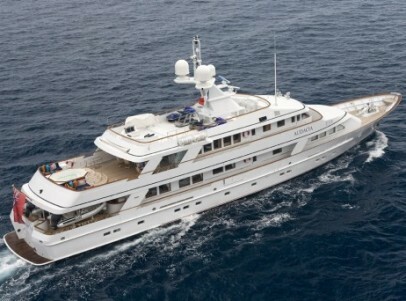 She can accommodate up to 12 guests. 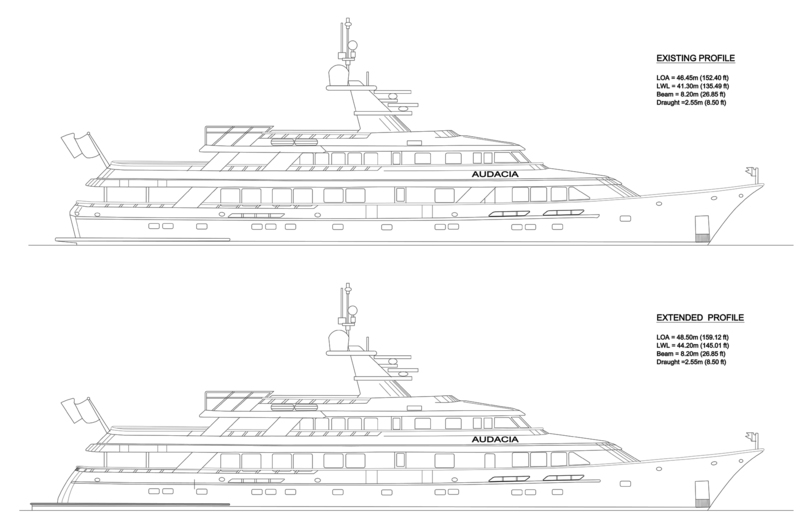 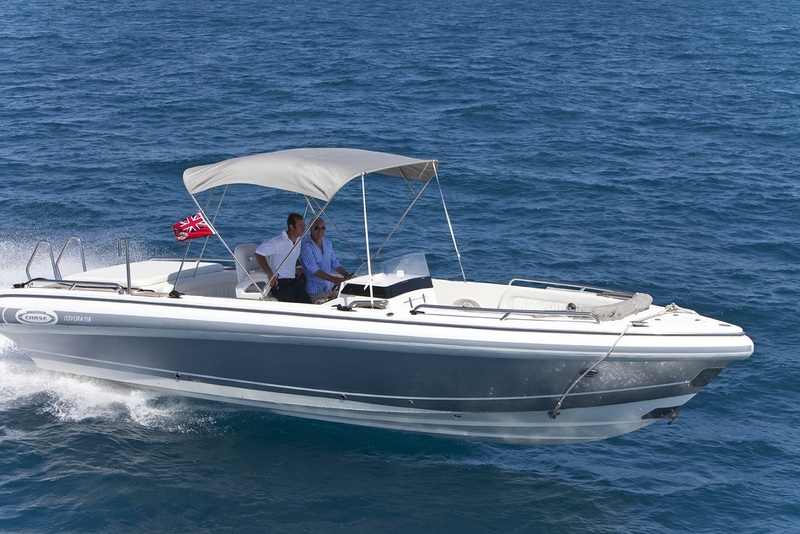 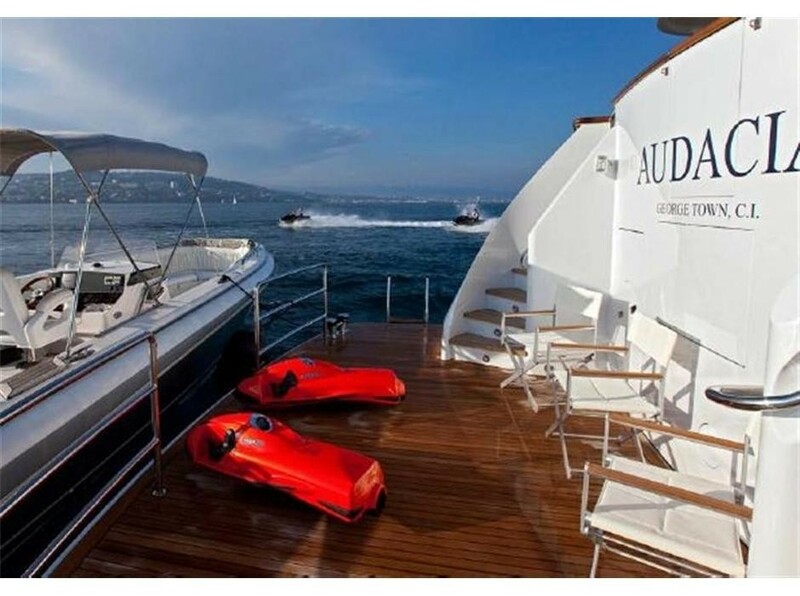 AUDACIA is a reliable high performance yacht combining the latest technology with expansive areas for entertaining, relaxation, comfort and luxury. 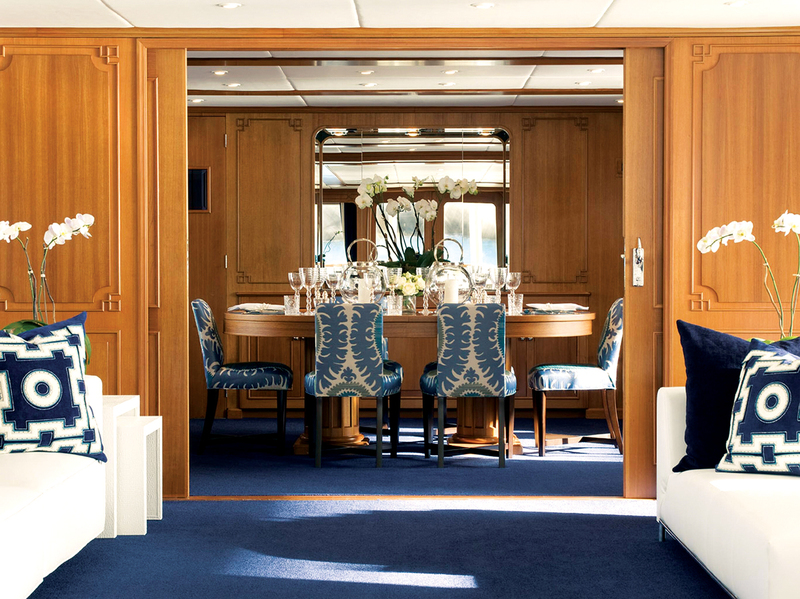 AUDACIA’s classic teak interiors are the backdrop for the blues and whites she is mixing with woven leathers, textiles and modern art. 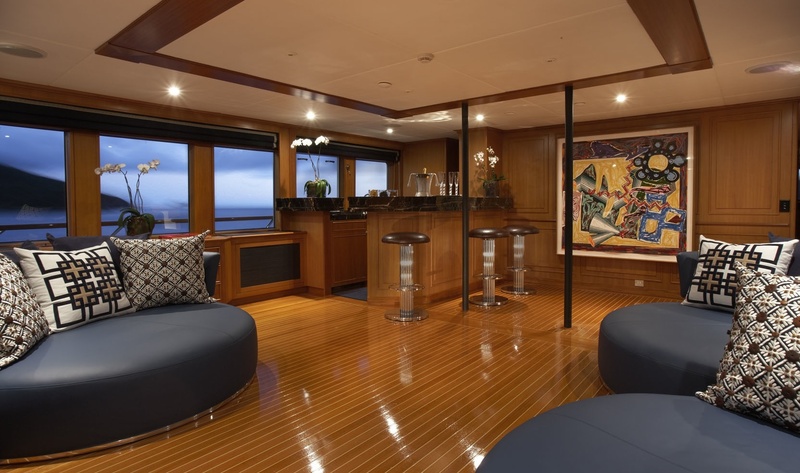 Her upper and main saloons have received new ceilings and lighting systems (including a discotheque system in the upper salon) as well as contemporary furnishings to complement the teak panels. 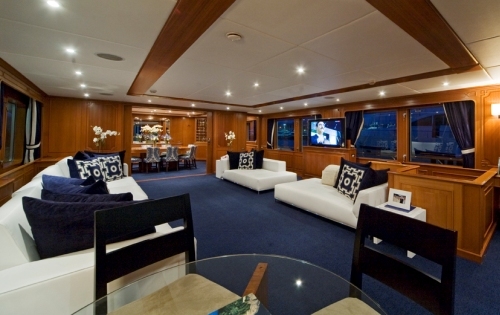 Large plasma televisions and new stereo systems have been placed in each salon. 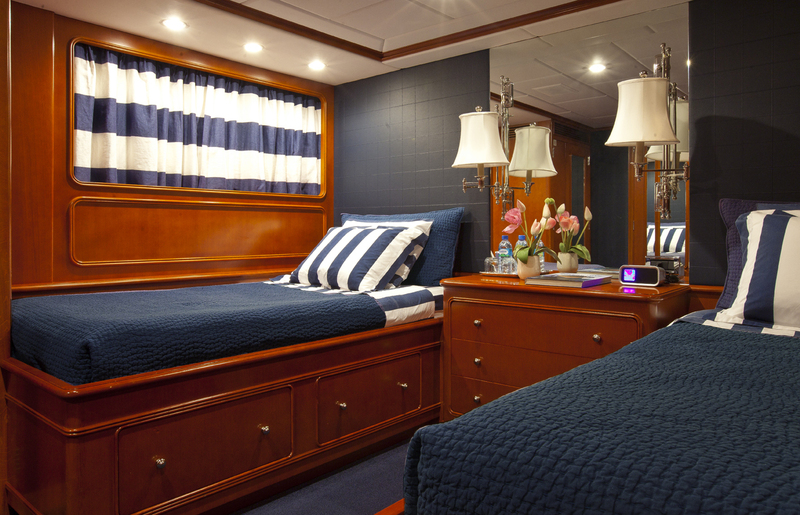 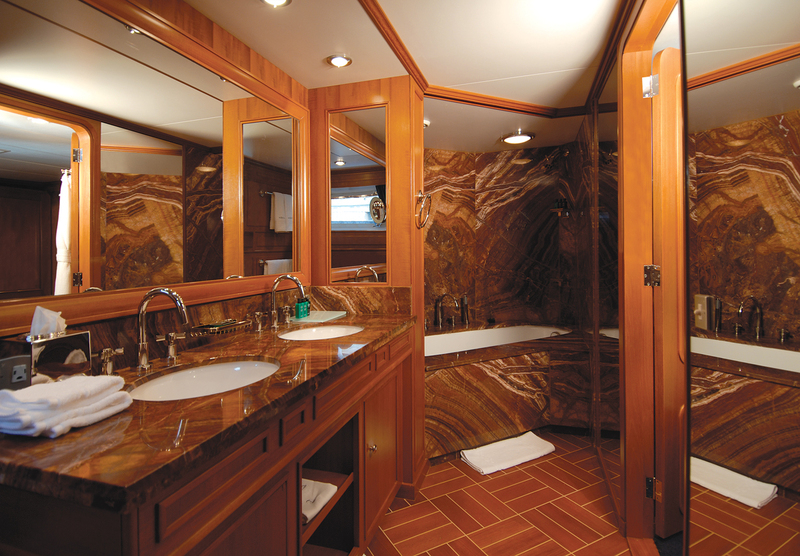 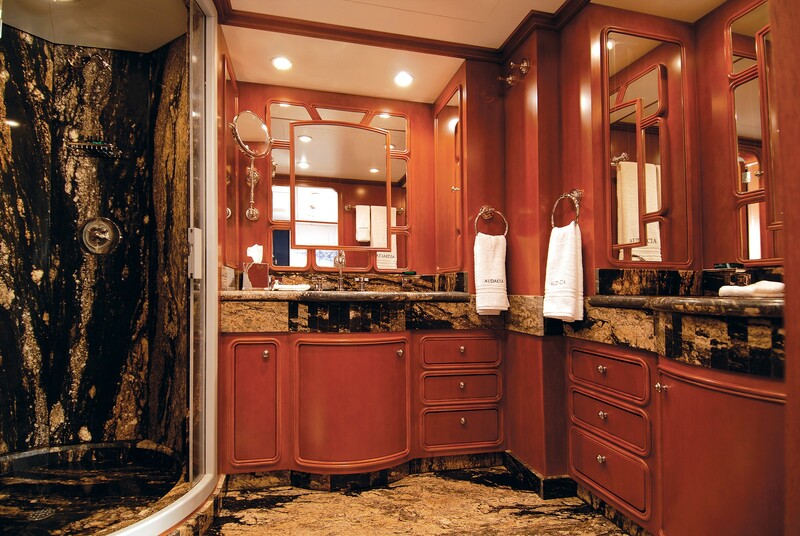 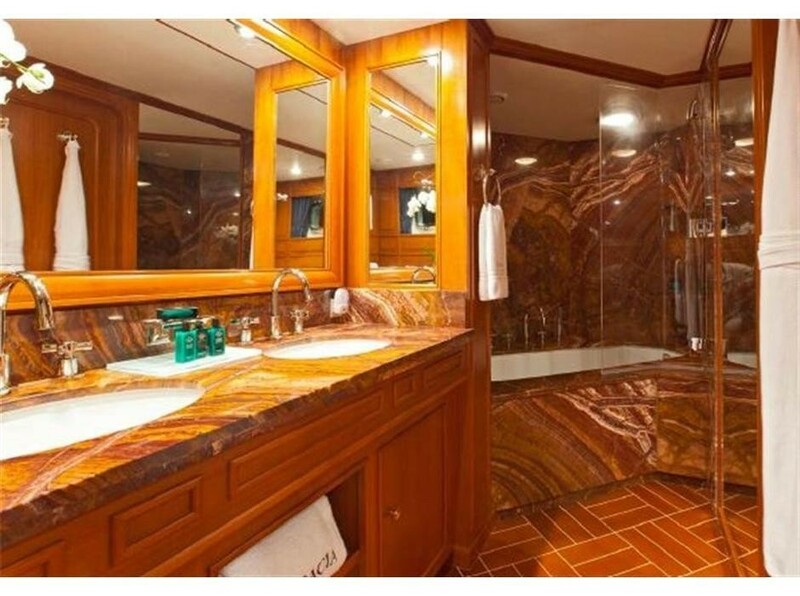 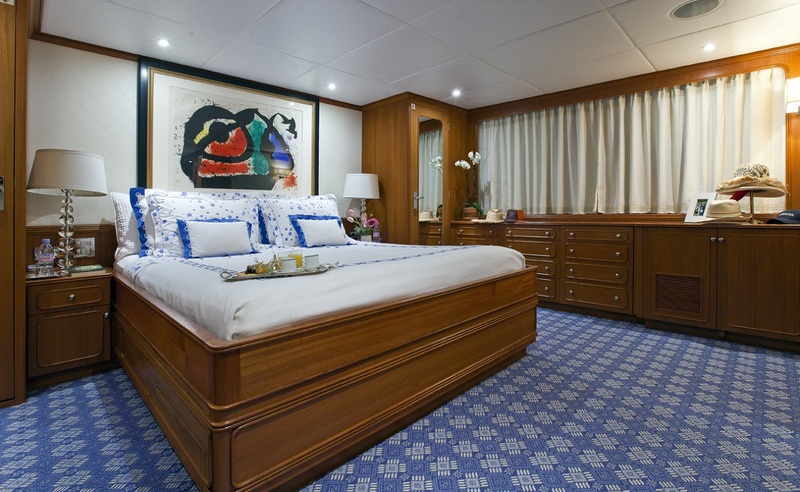 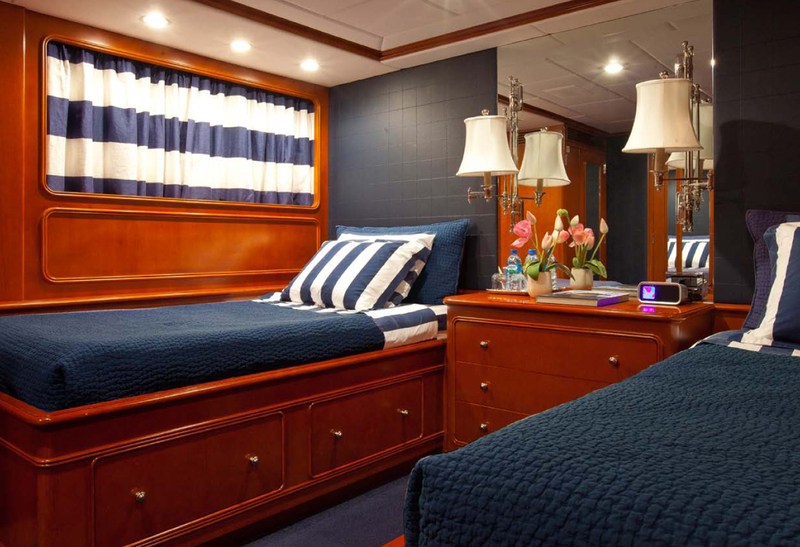 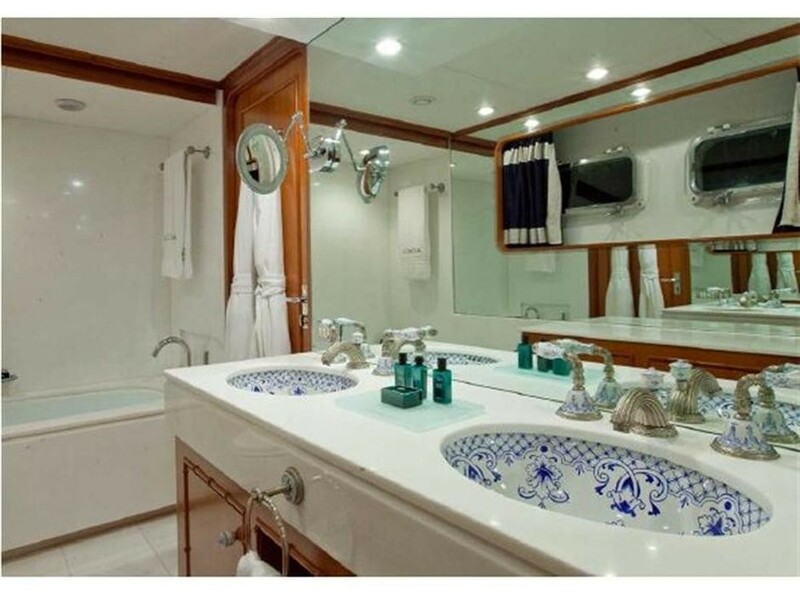 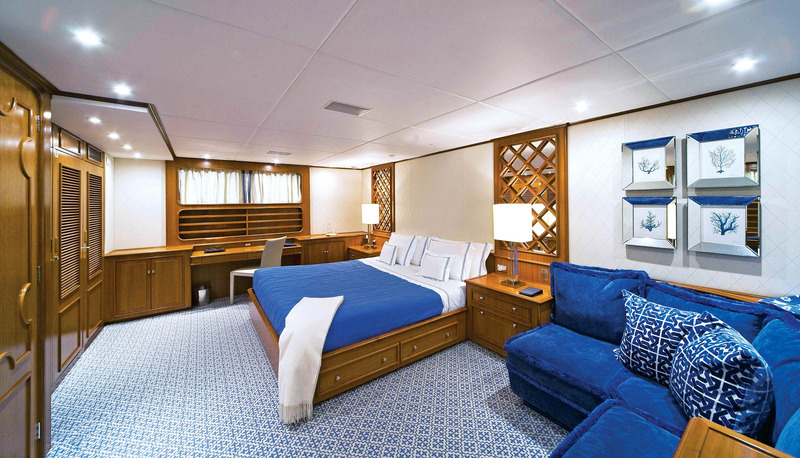 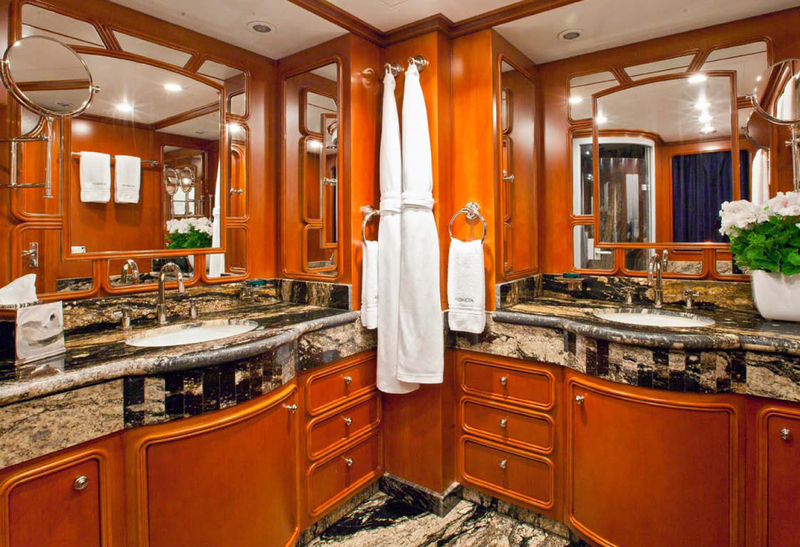 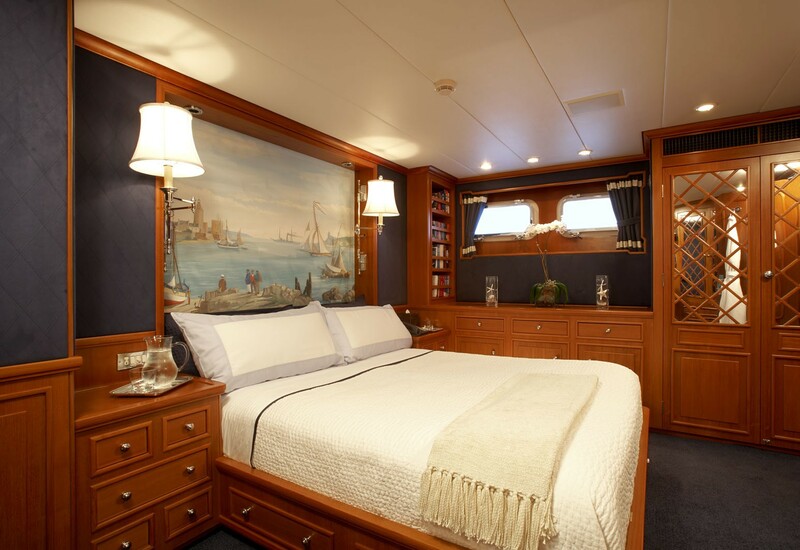 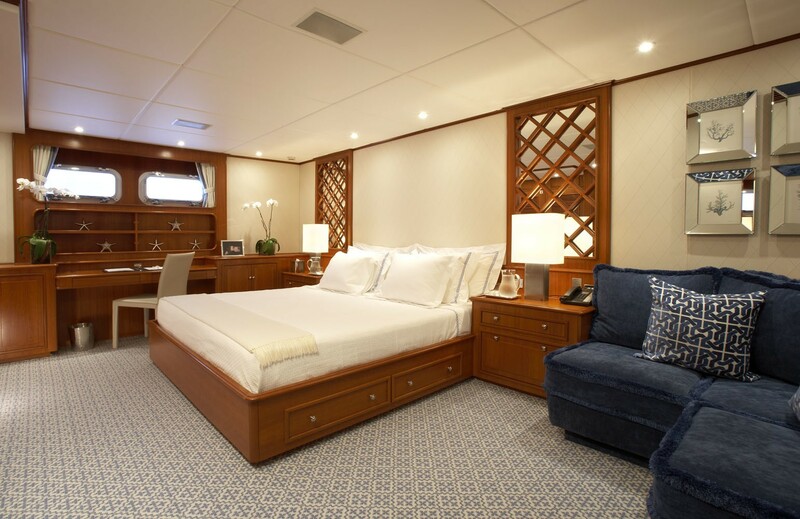 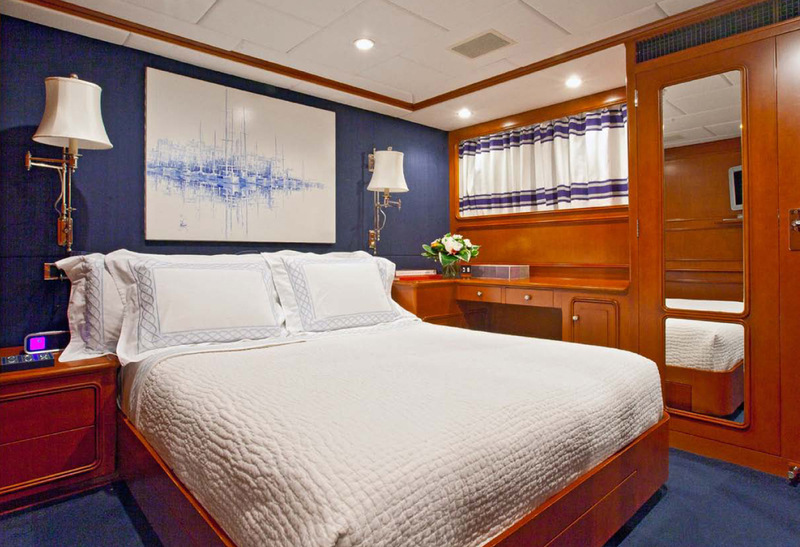 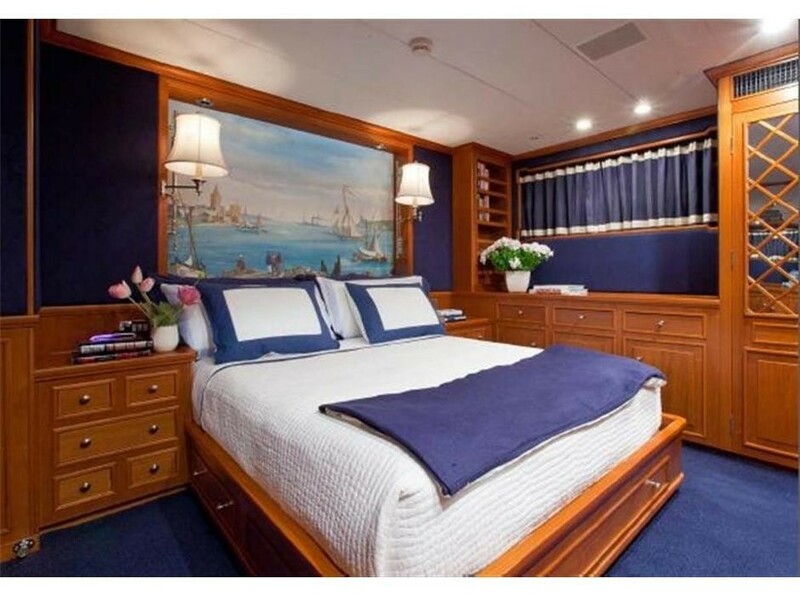 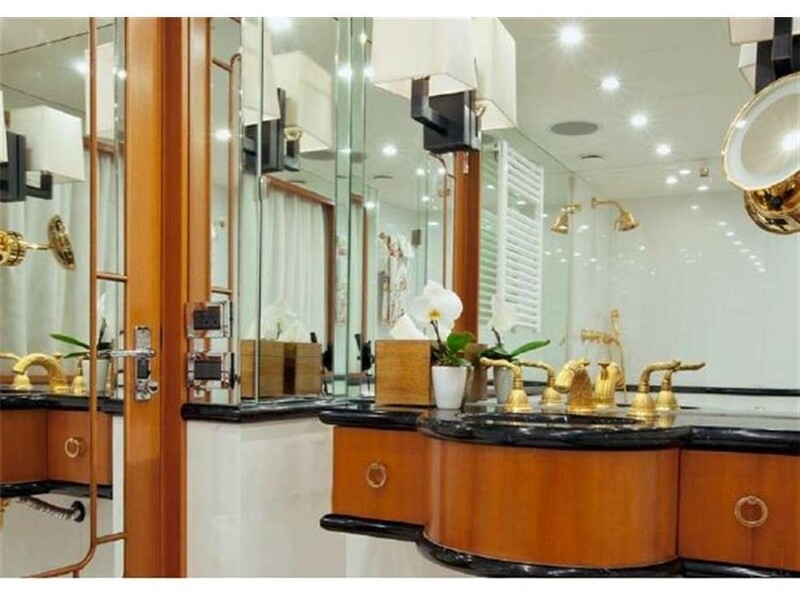 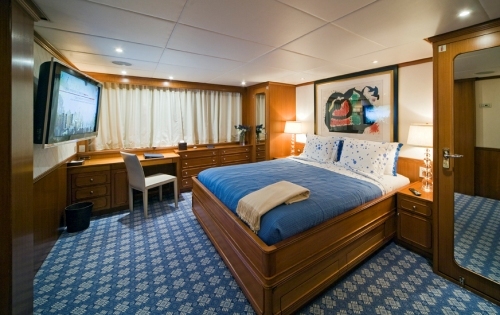 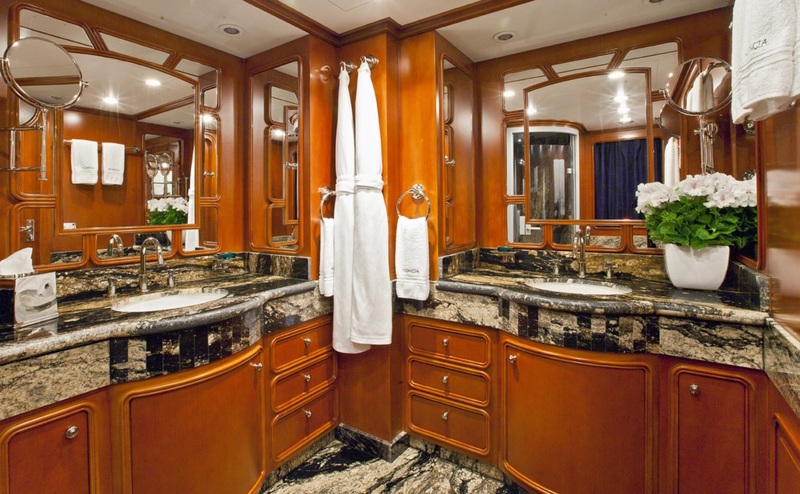 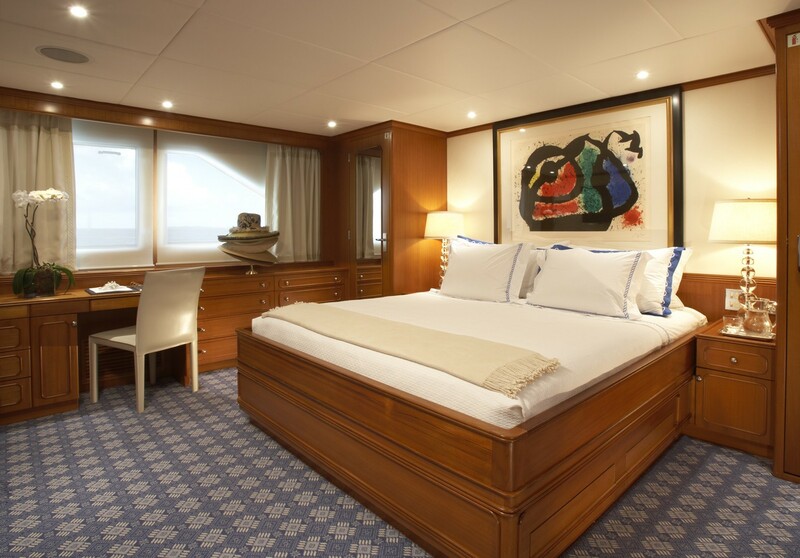 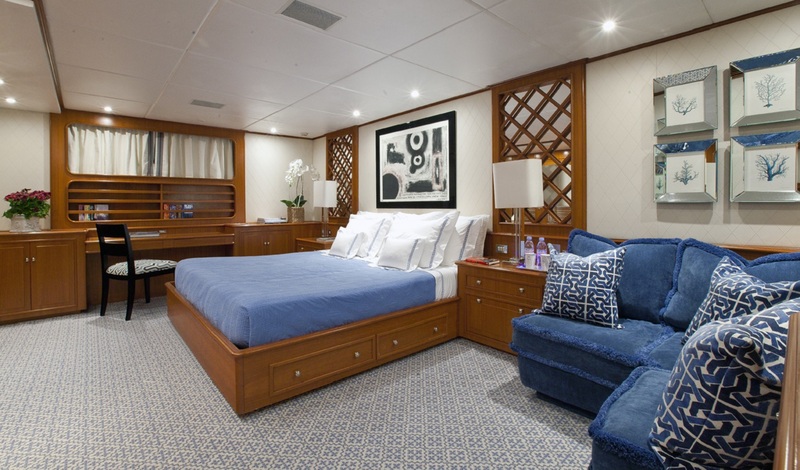 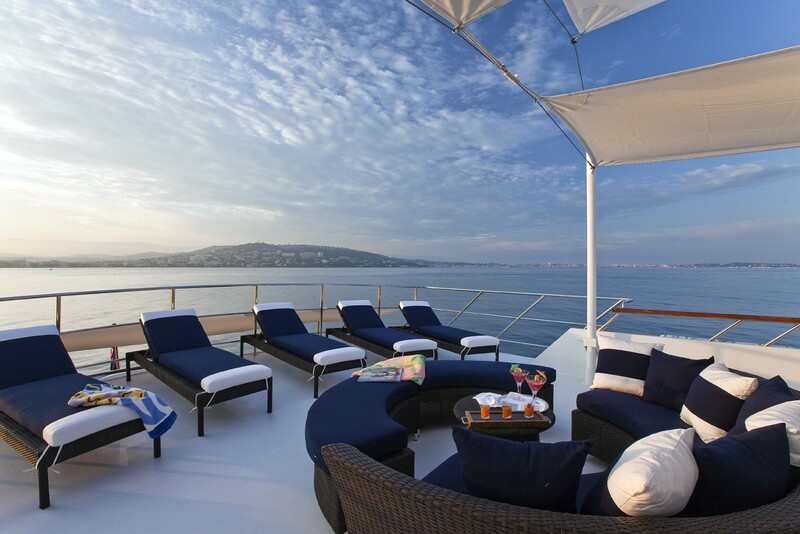 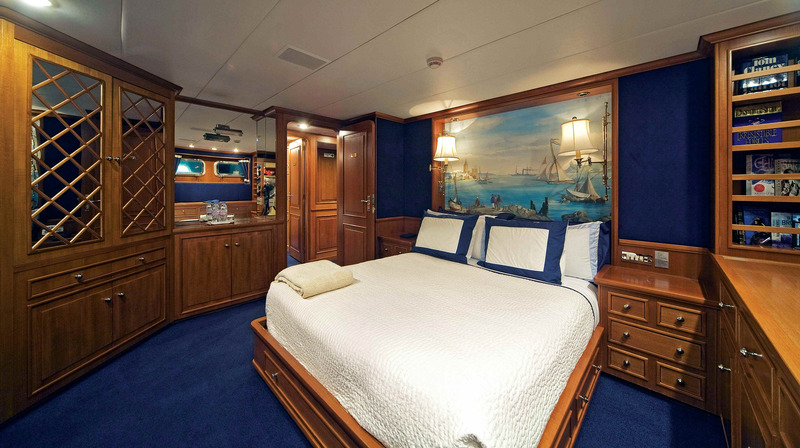 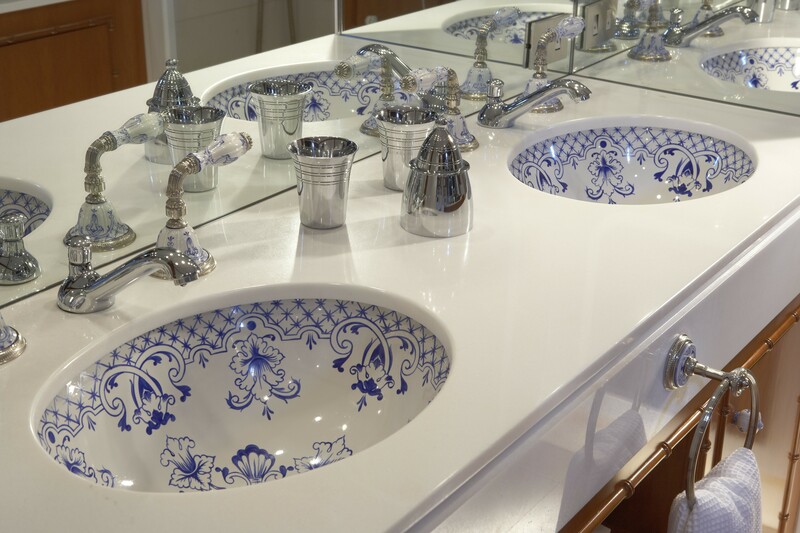 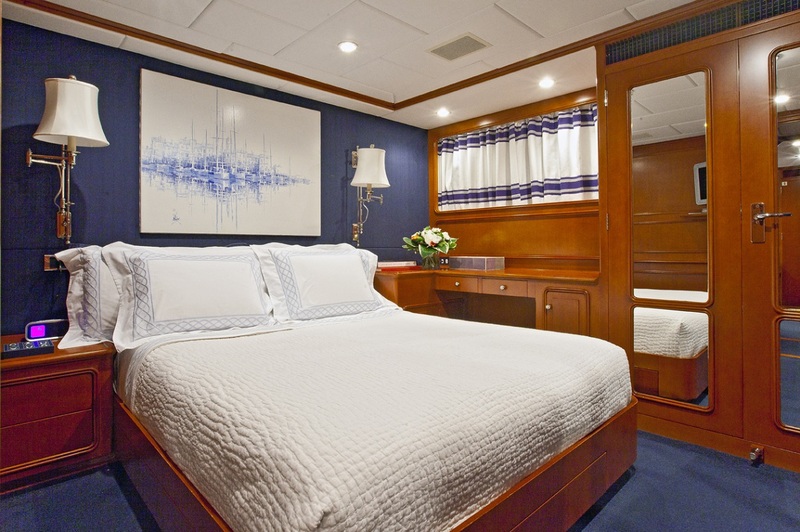 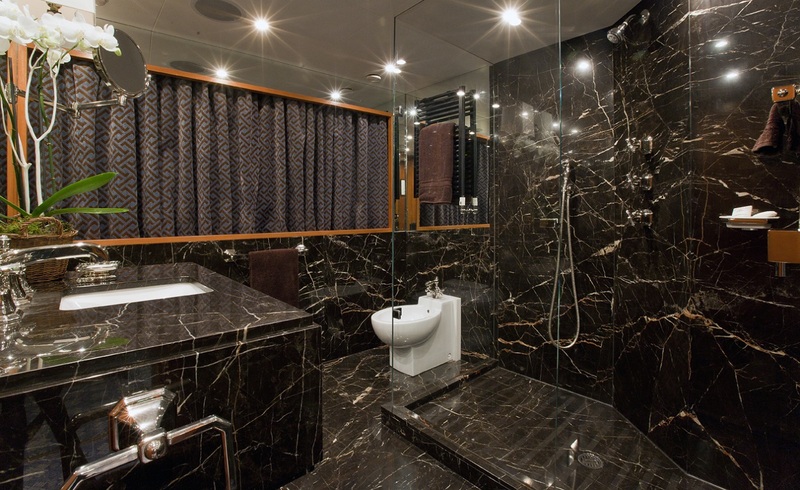 The luxury yacht’s owner's suite has been completely reconfigured and two new master bathrooms have been added. The beautiful marble clad walls in these bathrooms and Sherle Wagner fixtures ensure a luxurious environment which includes a Spa Pool bath. 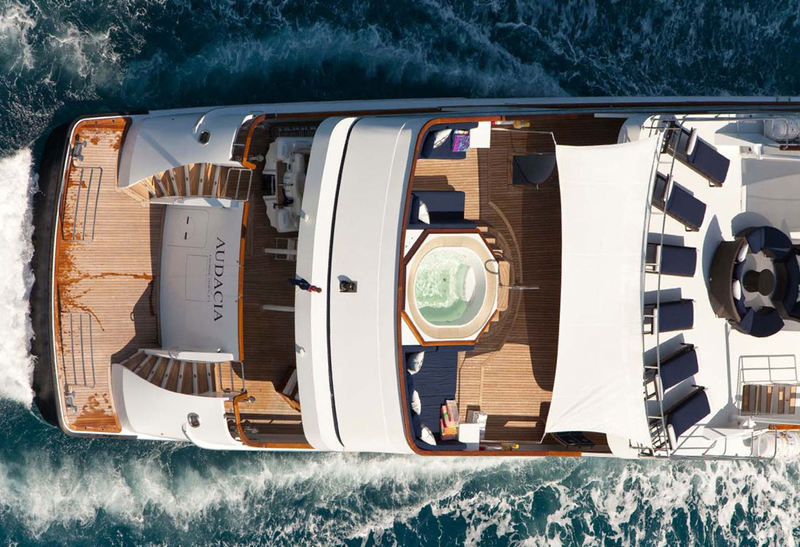 AUDACIA’s spacious full beam VIP suite, with its separate and private stairway, has also been refurbished and its large white Thasos marble bathroom fully updated with Sherle Wagner fixtures. 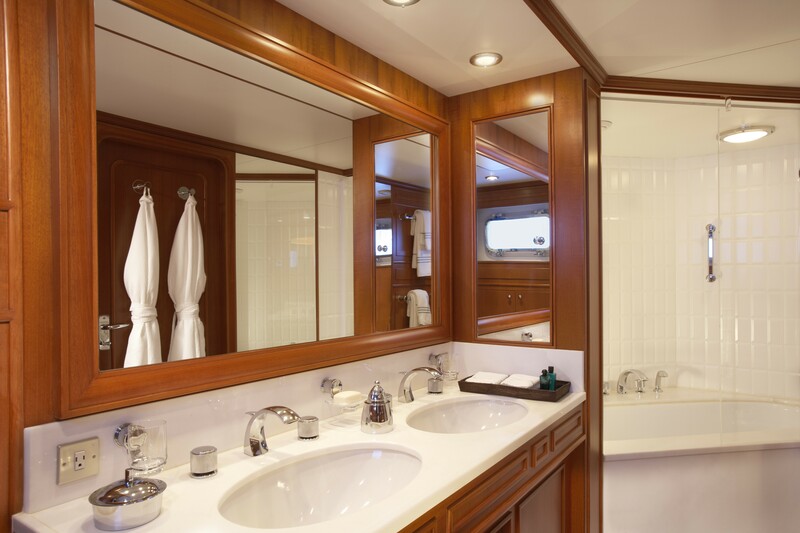 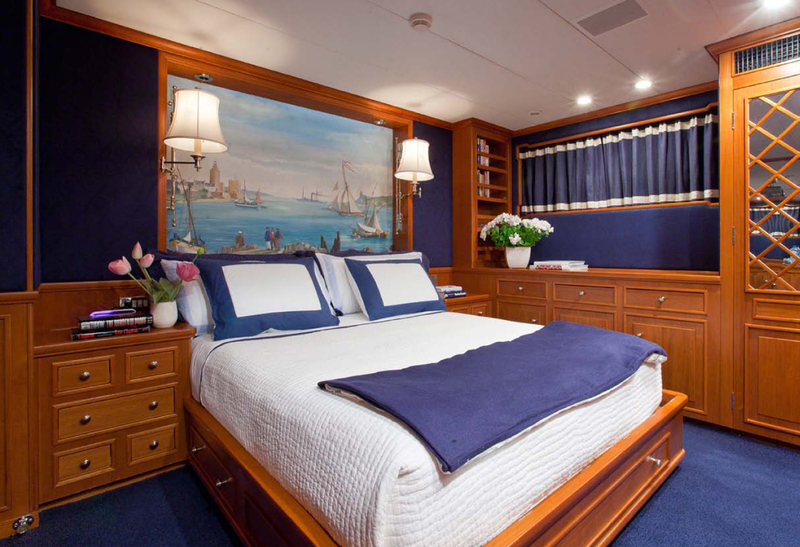 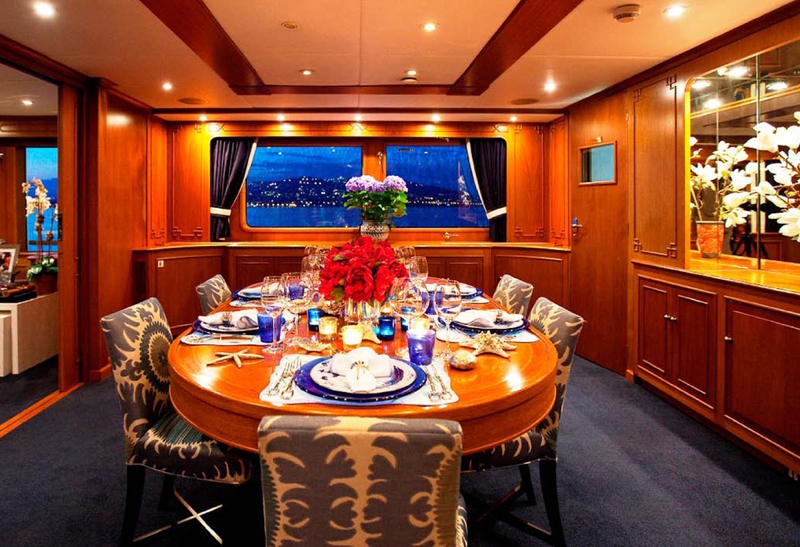 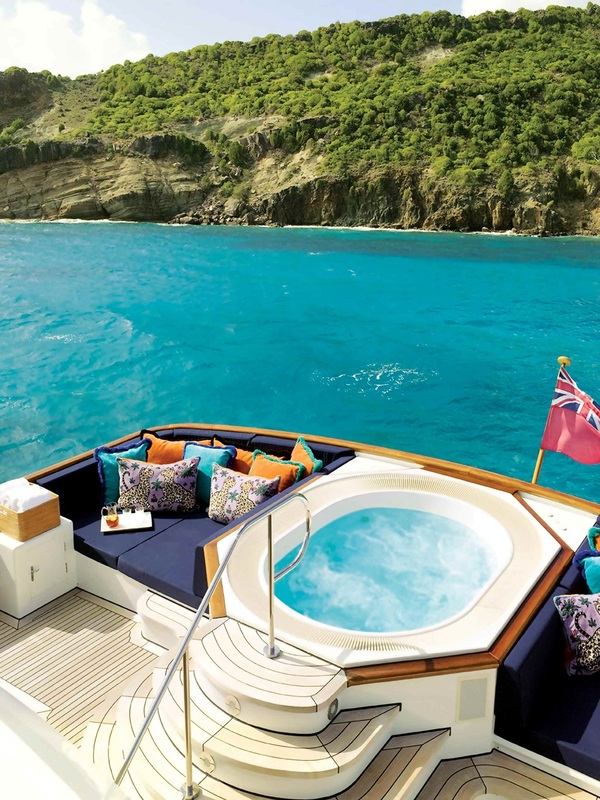 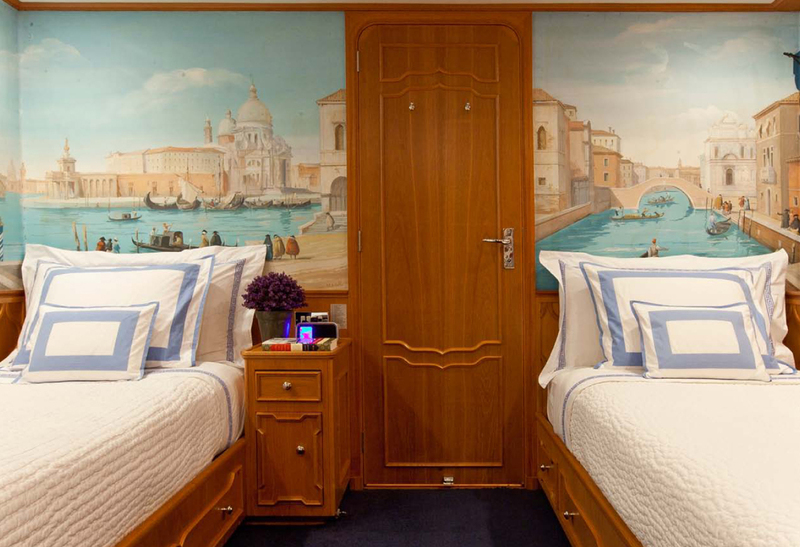 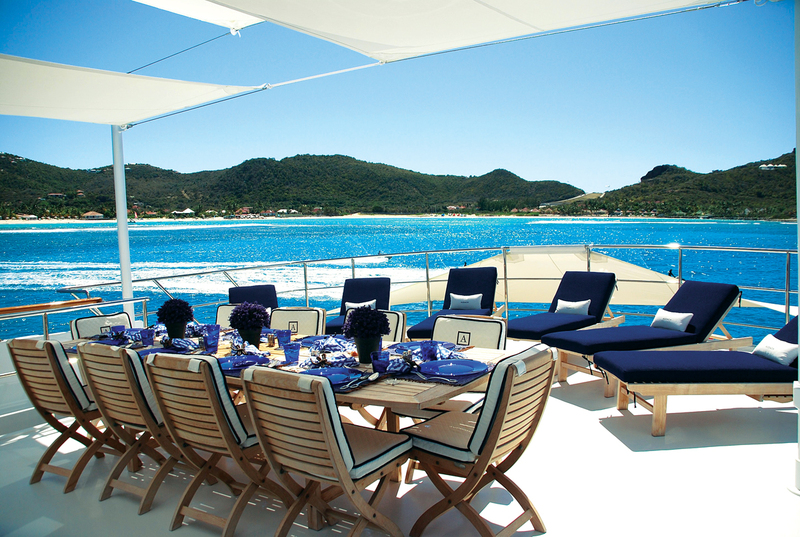 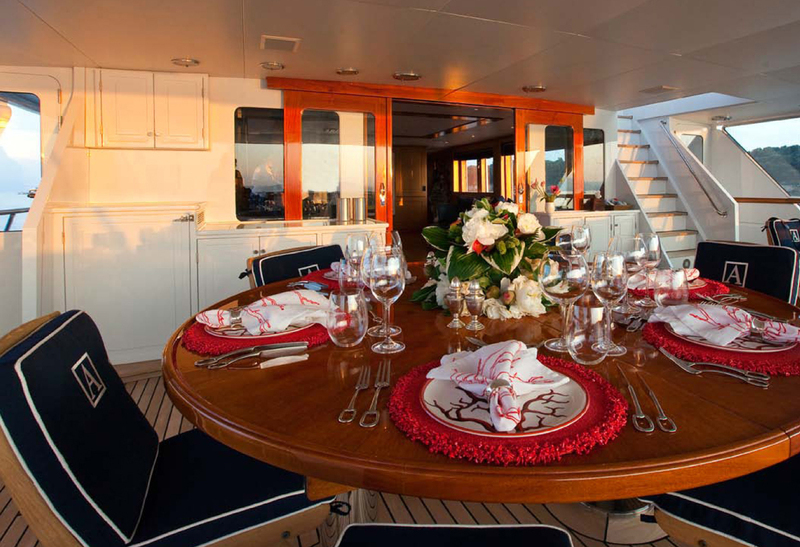 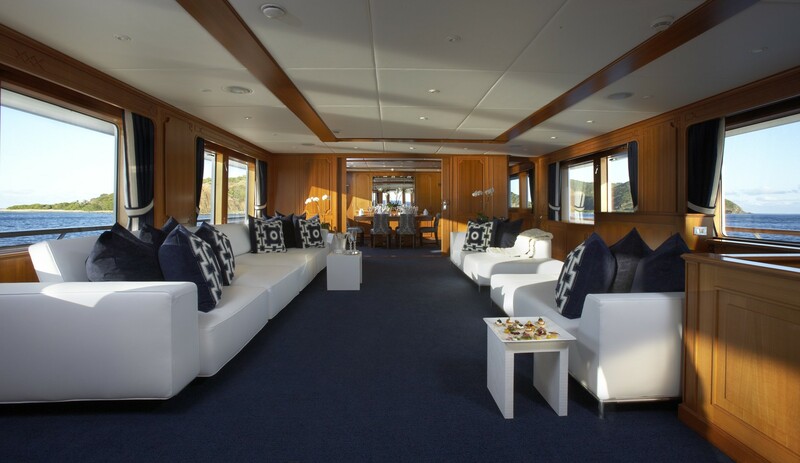 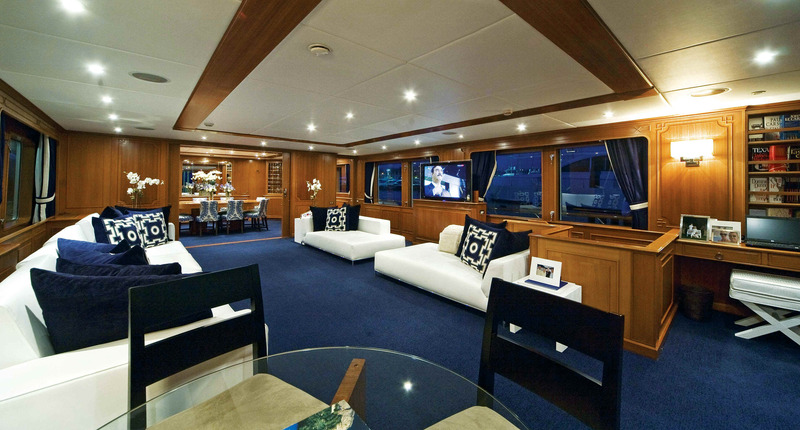 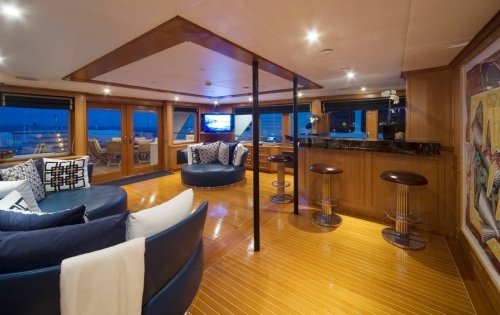 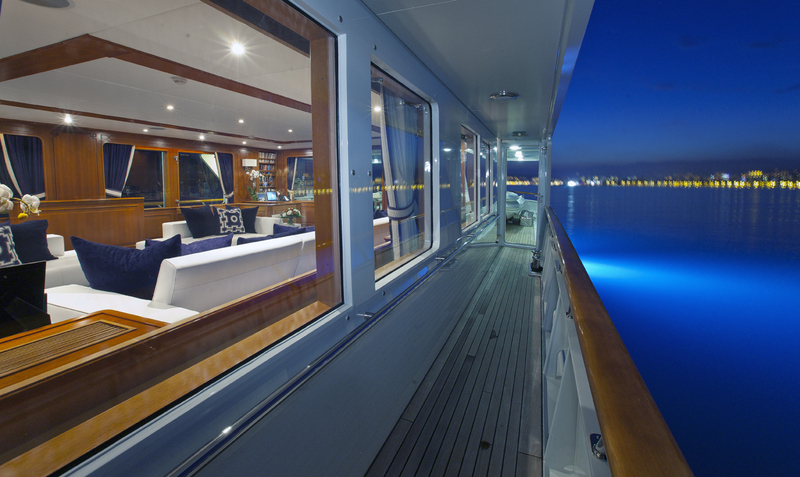 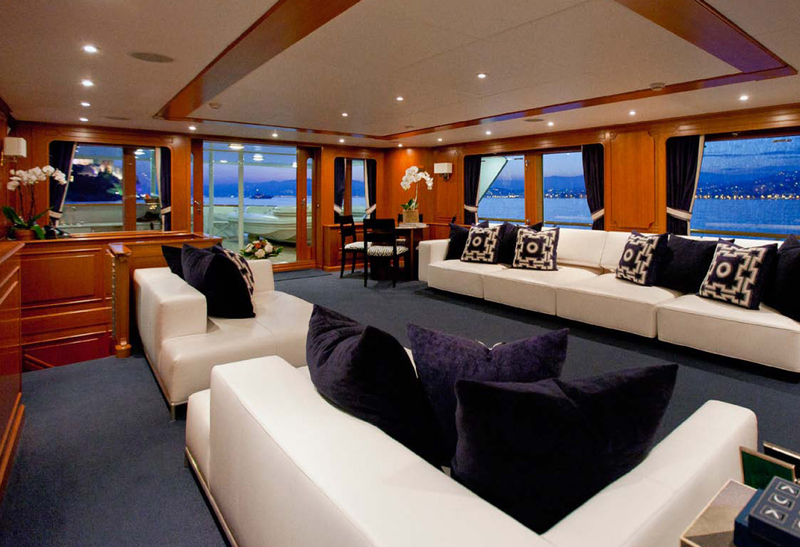 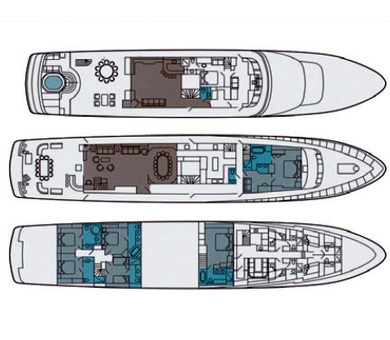 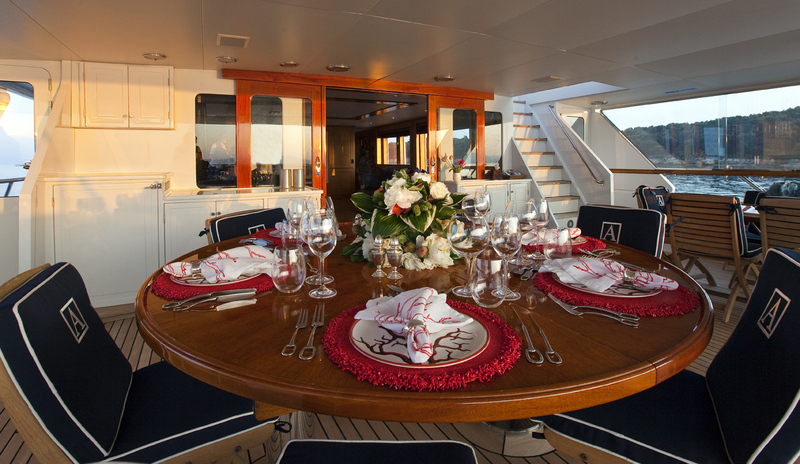 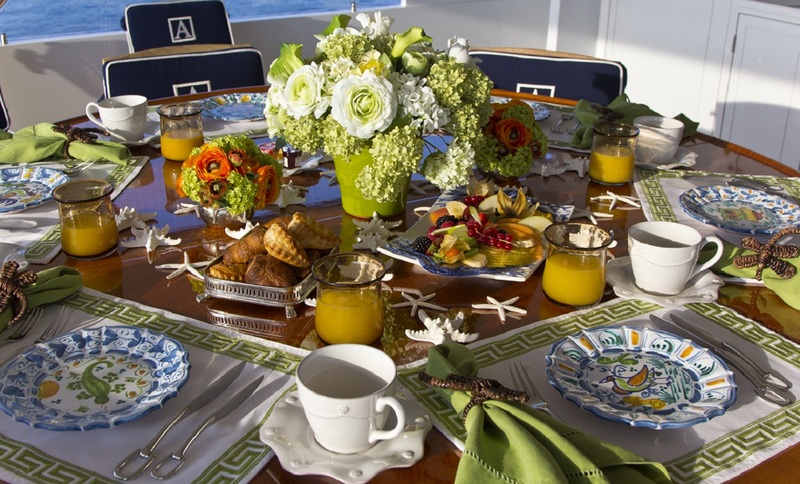 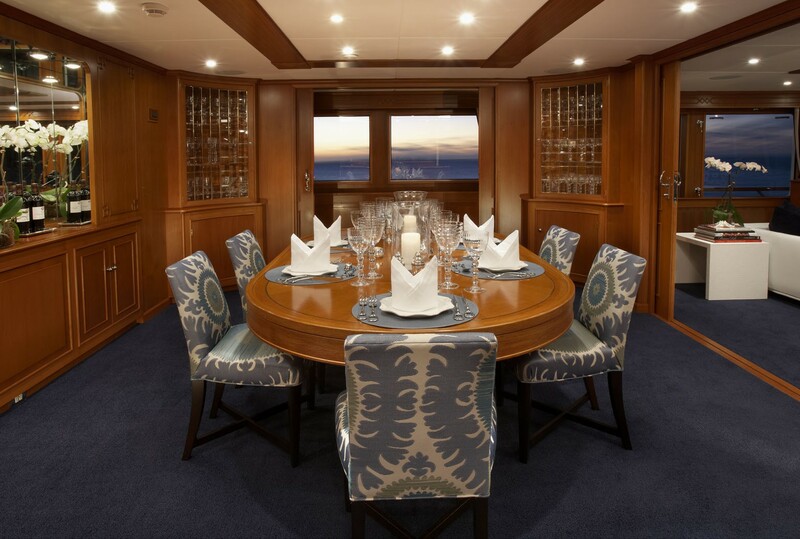 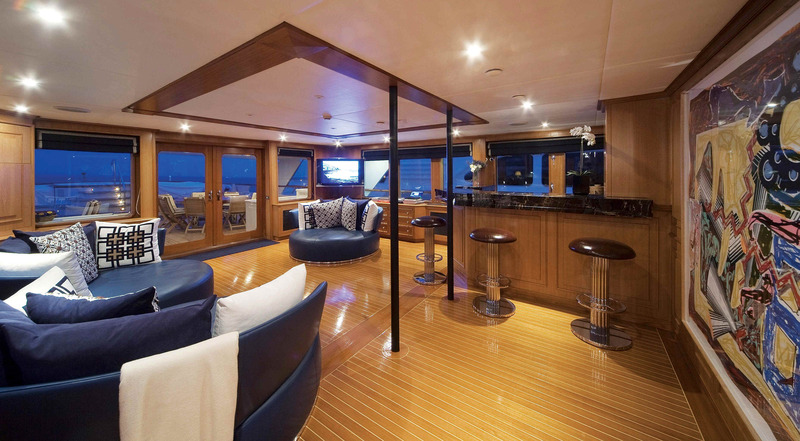 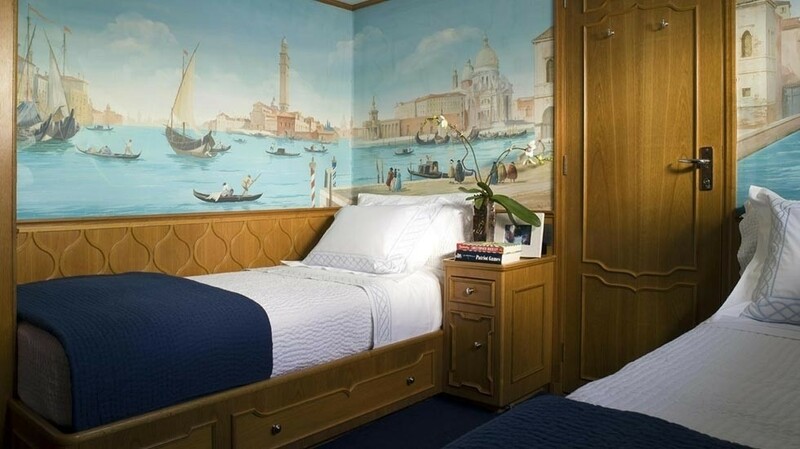 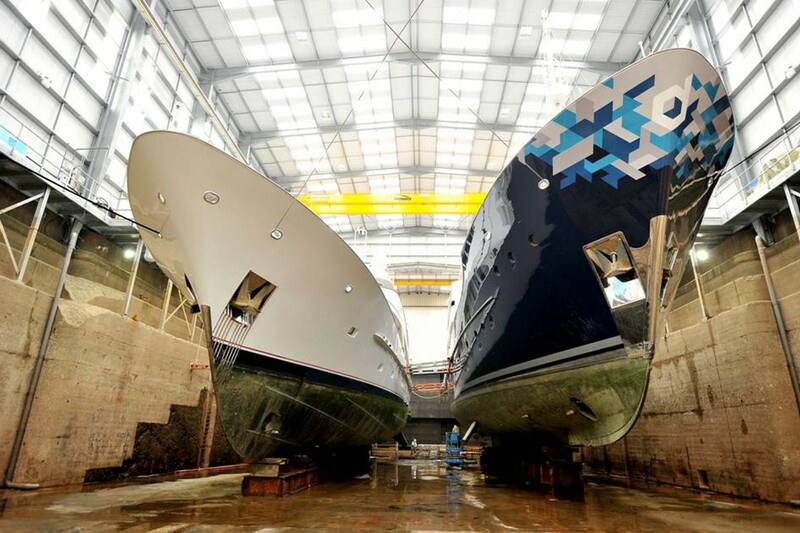 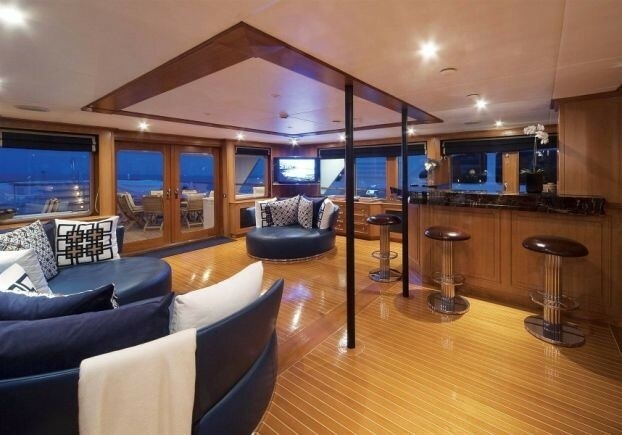 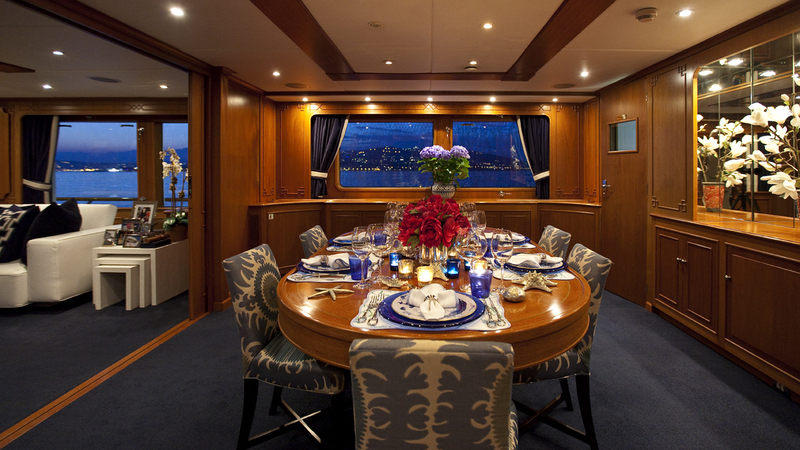 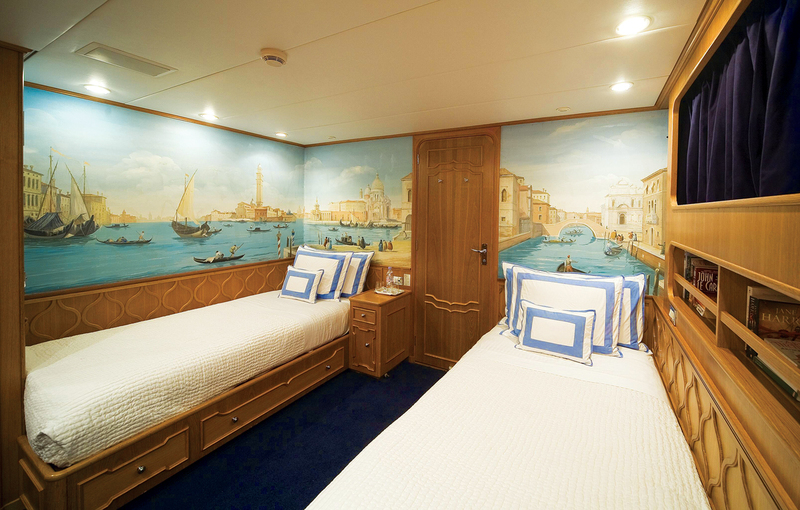 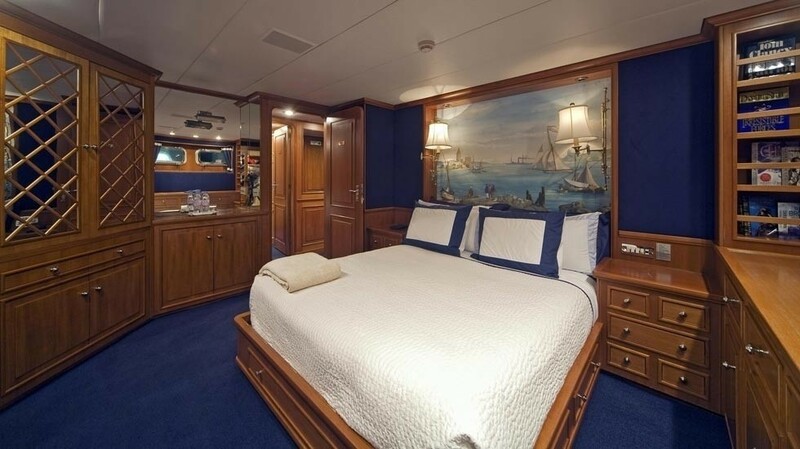 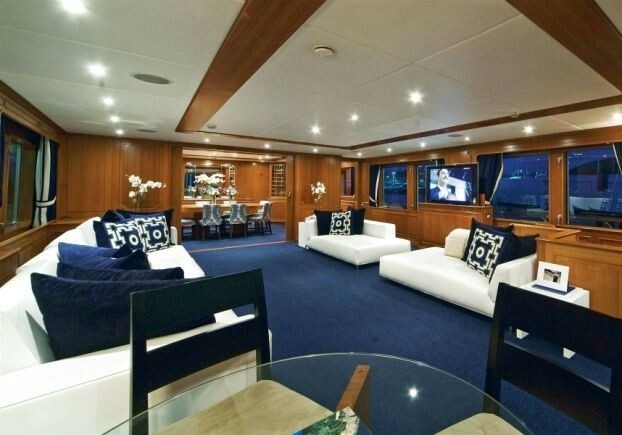 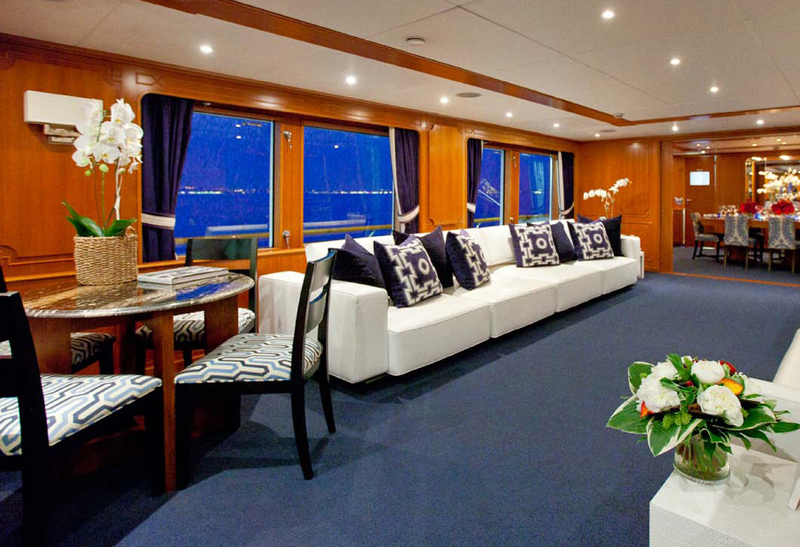 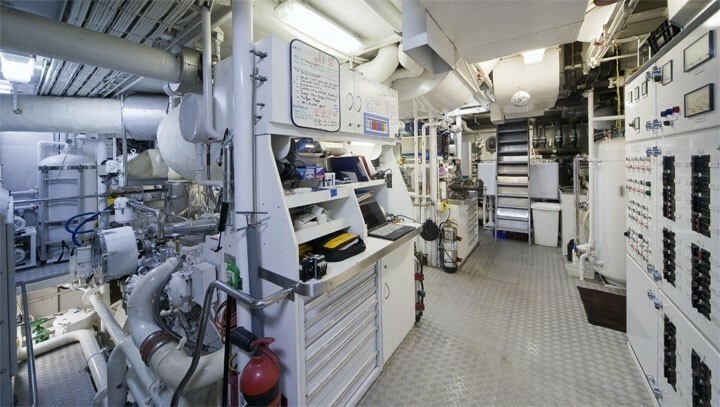 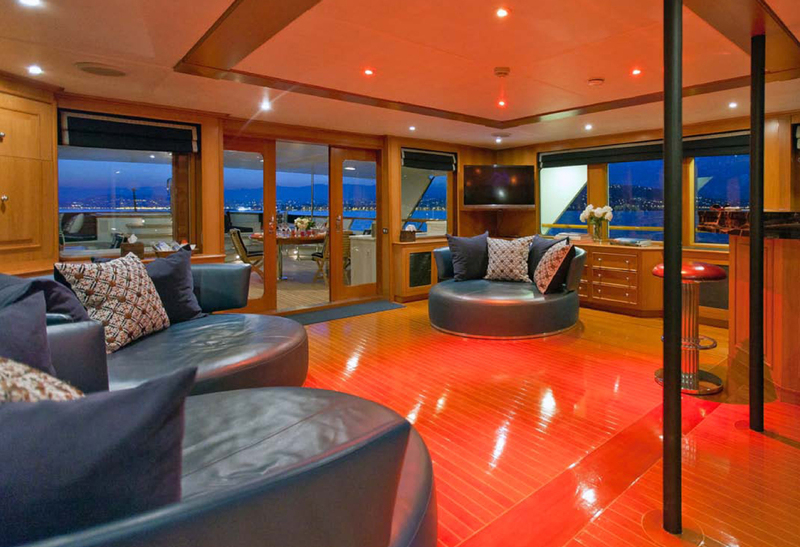 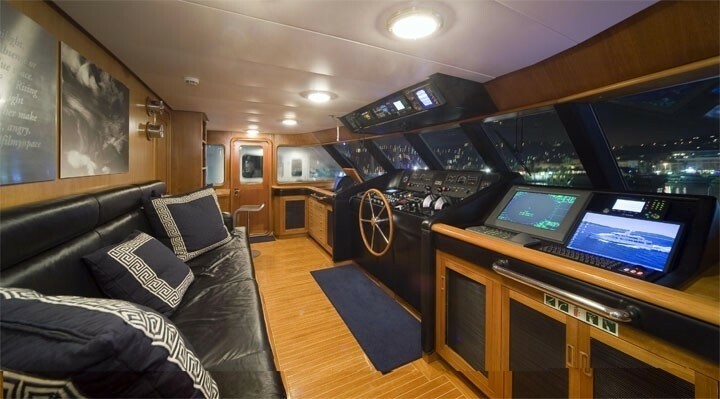 The four additional aft cabins, two queen and two twin, have had all their walls newly stained to match other areas of the yacht and make up the remaining accommodations for a total of 12 guests. 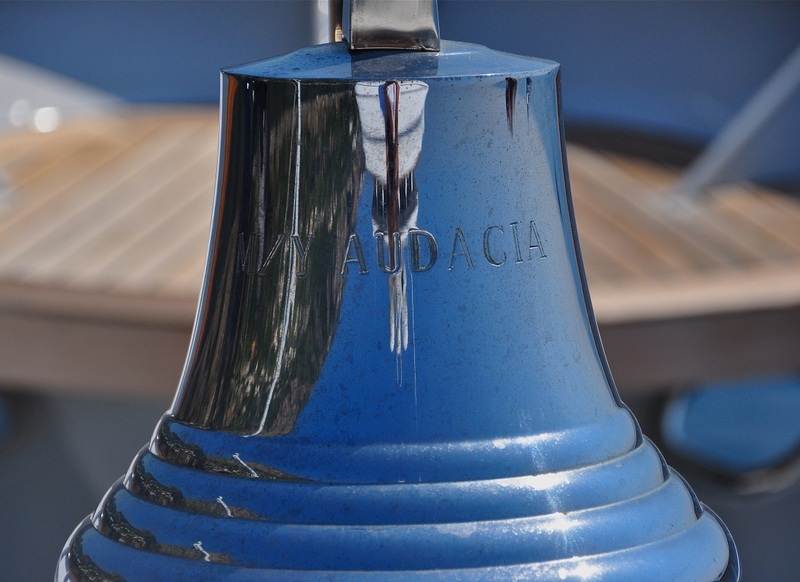 AUDACIA provides the most up to date electronic technology throughout including wireless internet, VOIP telephony and full coverage Satellite Television. 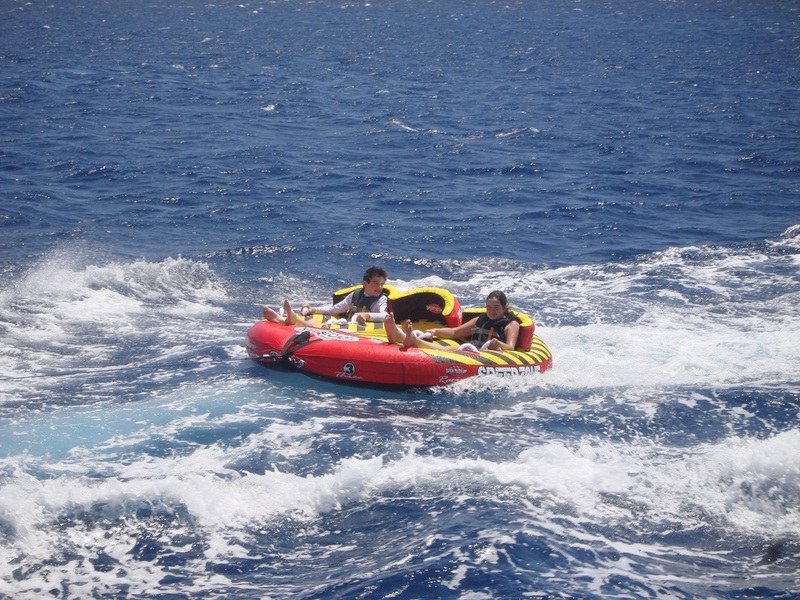 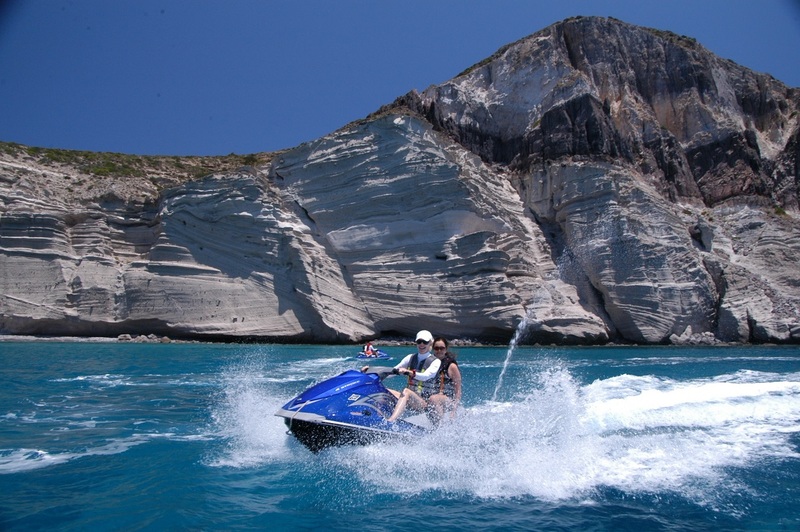 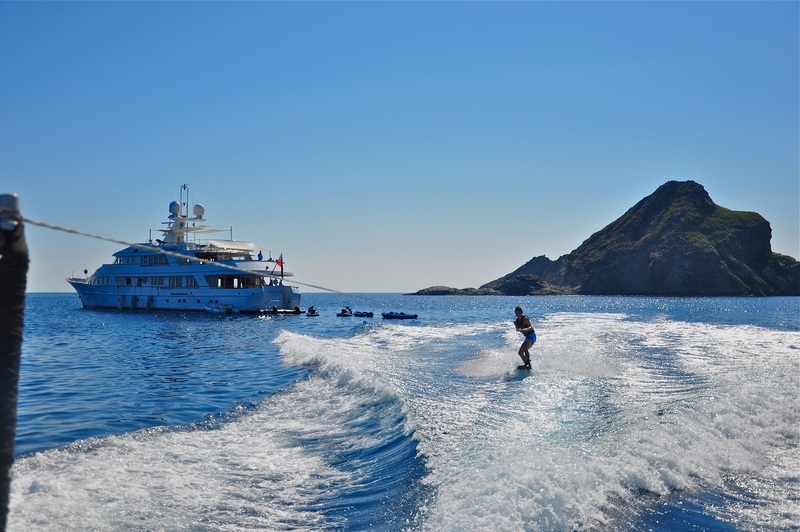 She also offer fantastic outdoor fun with good sunning and relaxing areas, alfresco dining, a large deck Spa Pool and various water sports equipment. 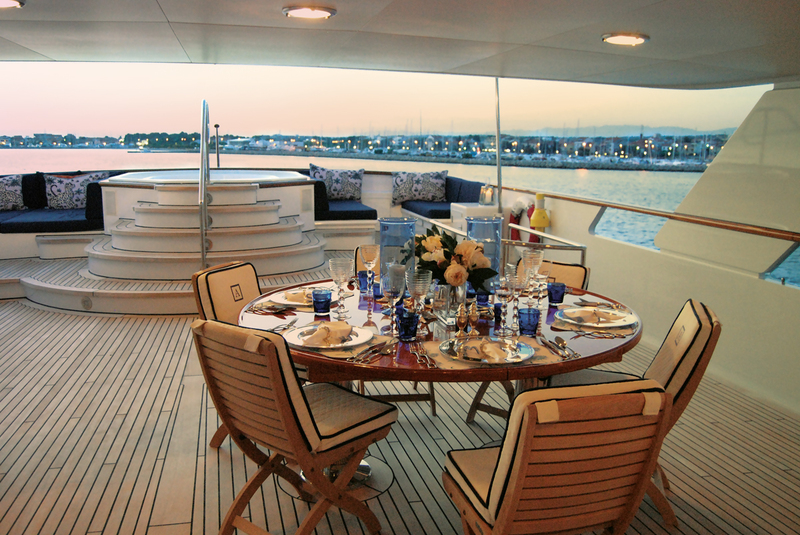 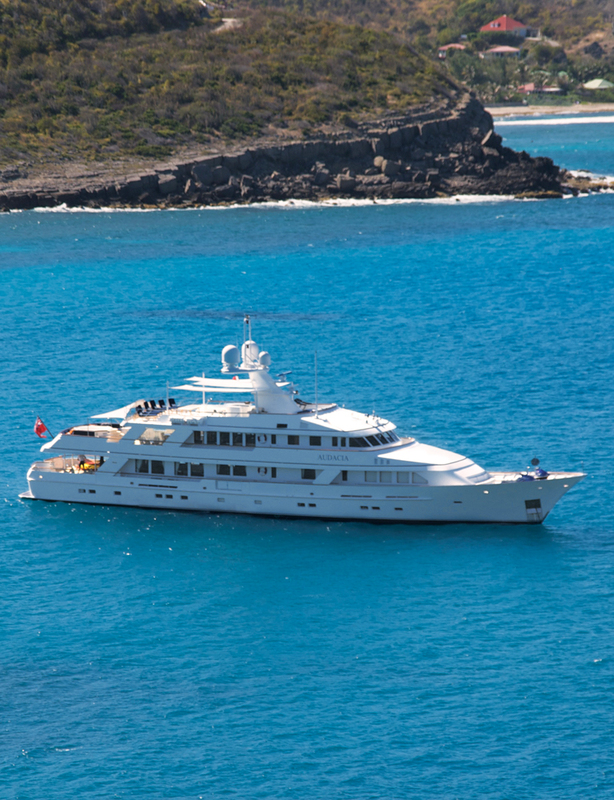 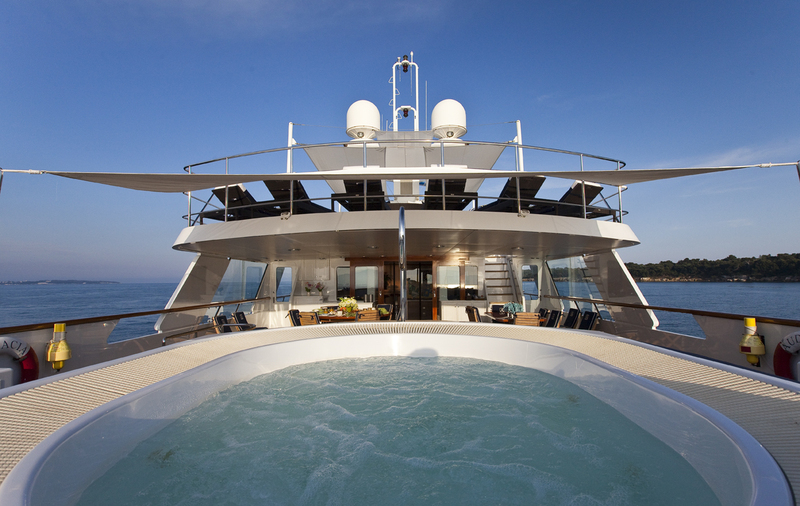 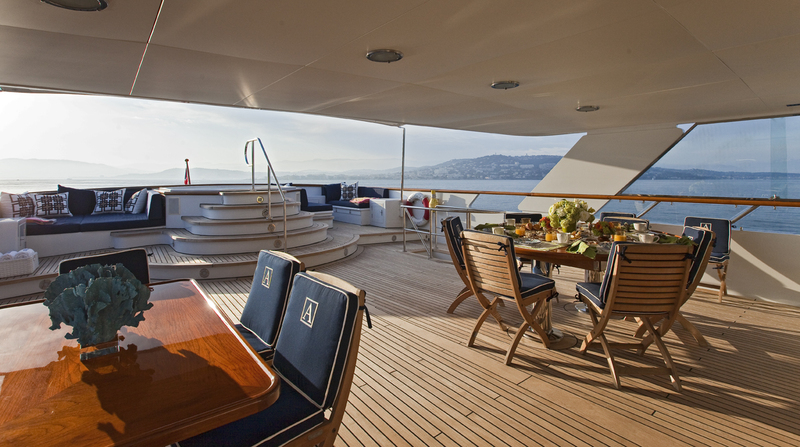 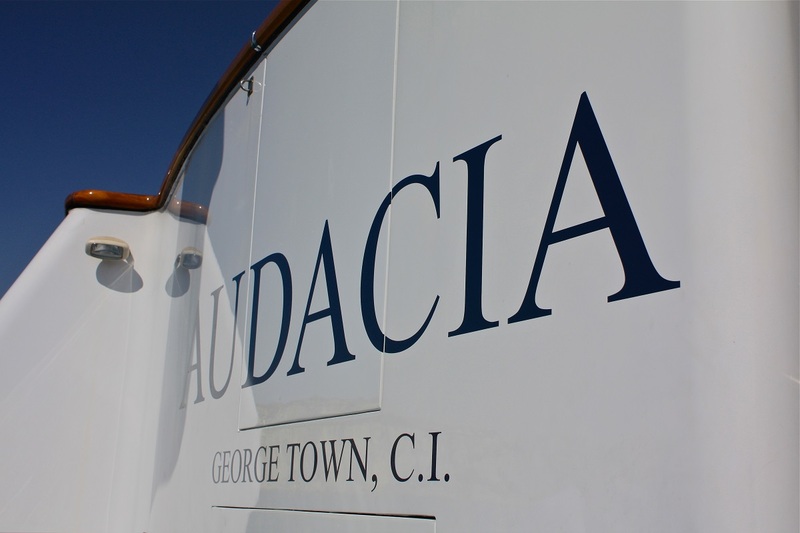 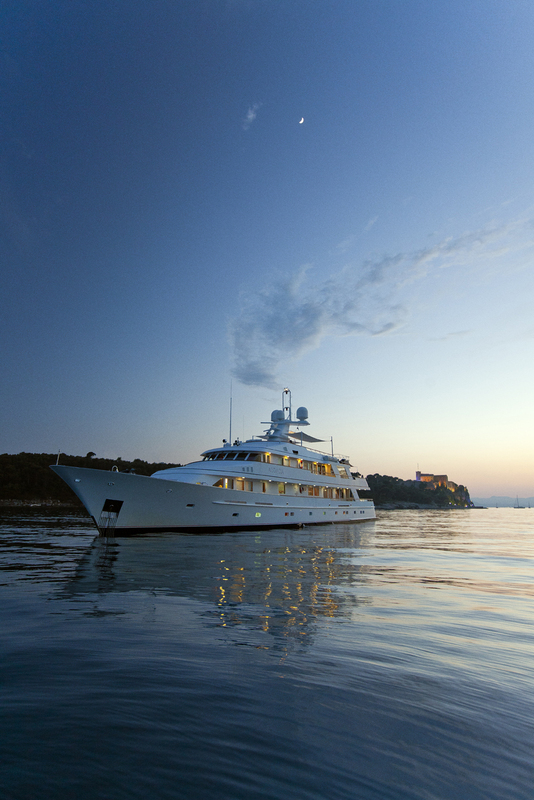 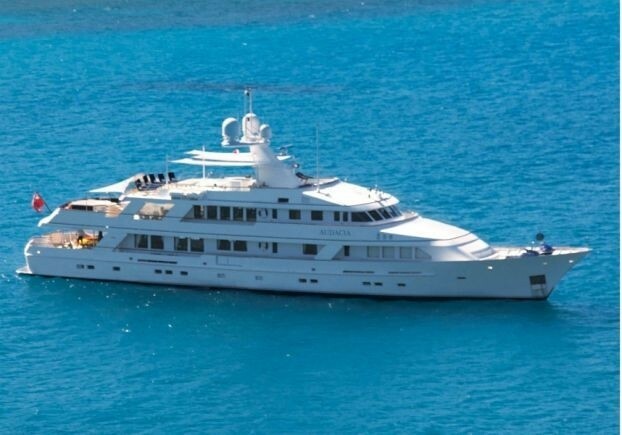 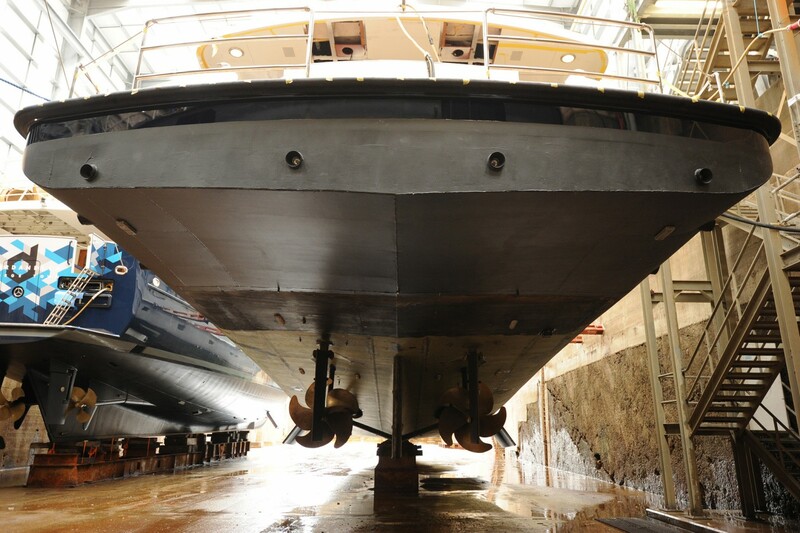 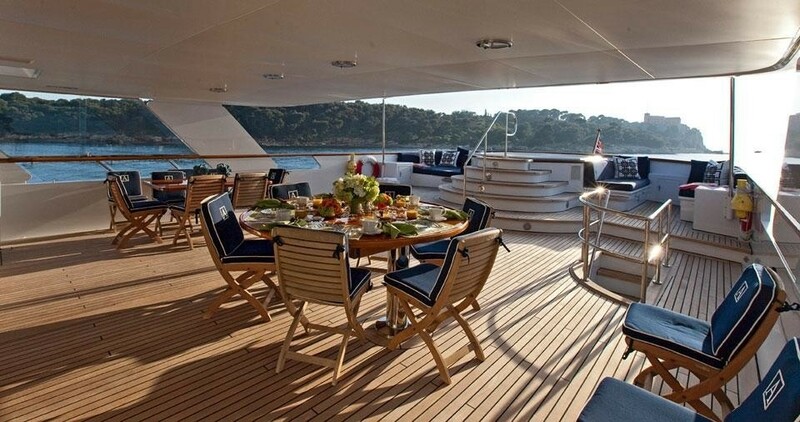 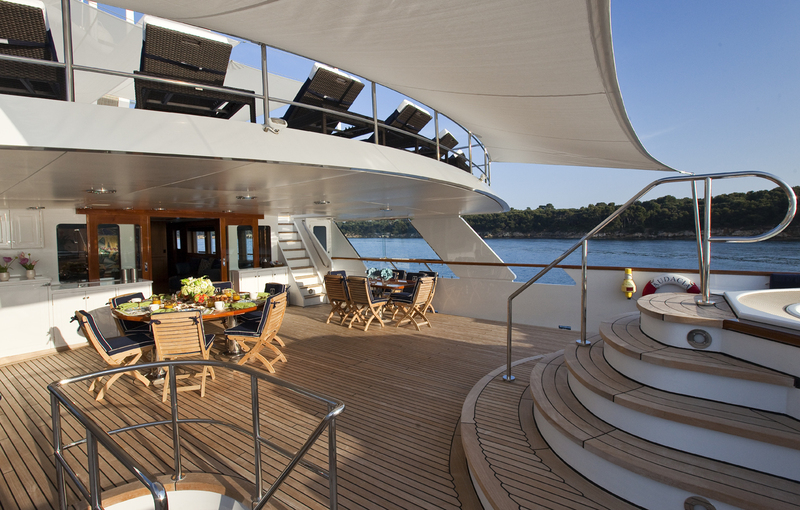 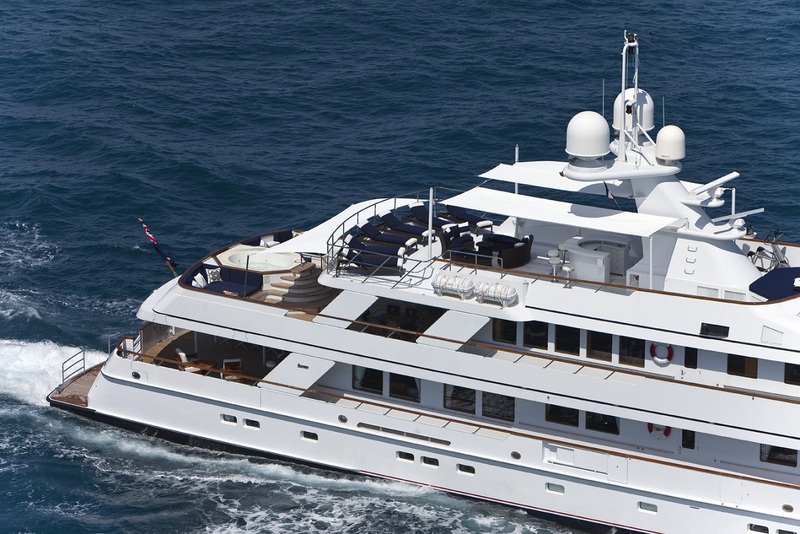 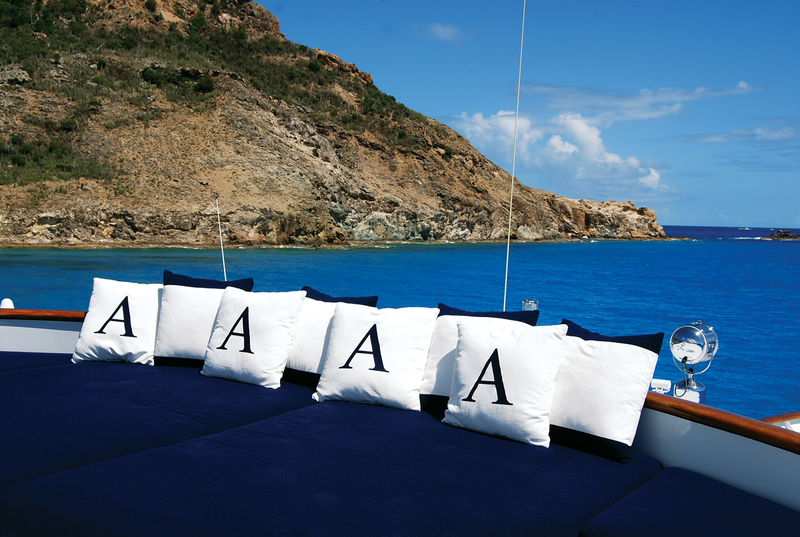 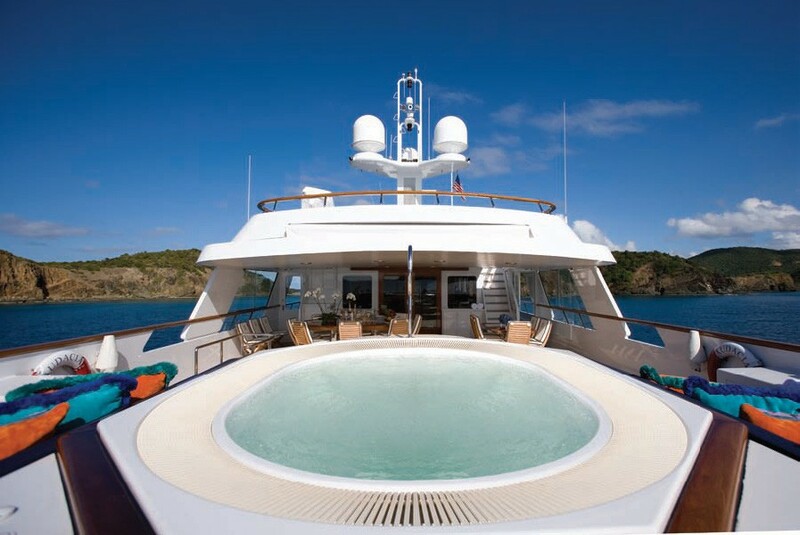 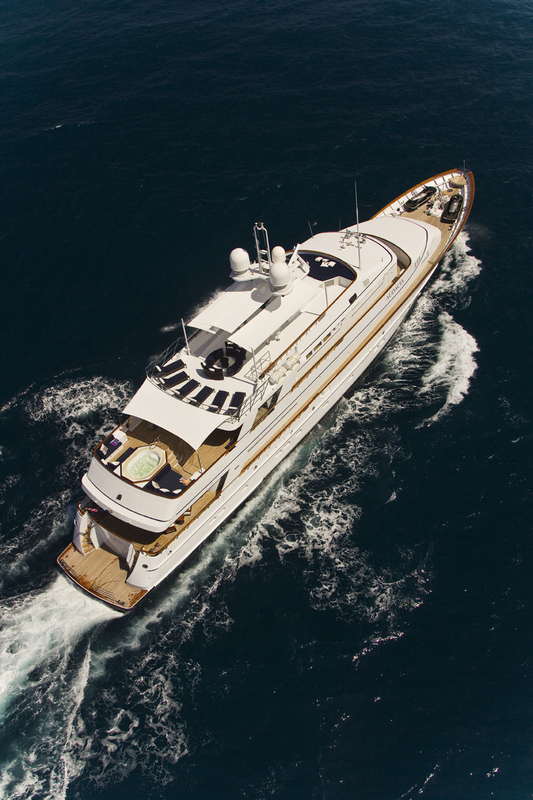 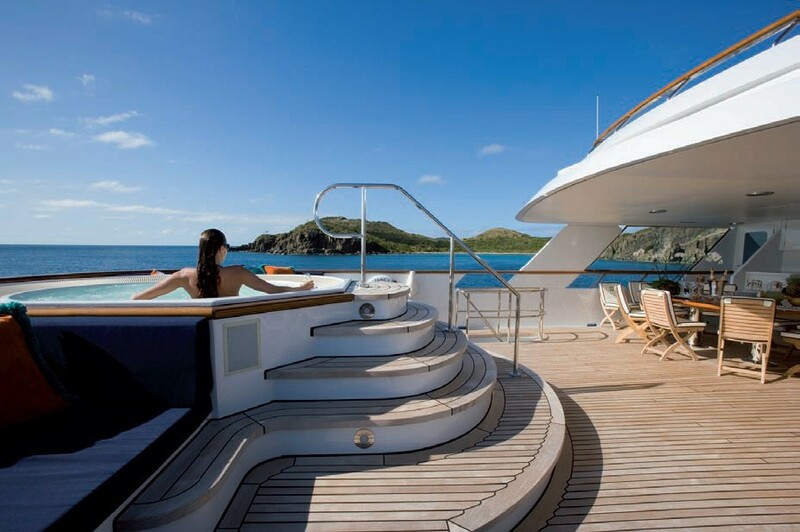 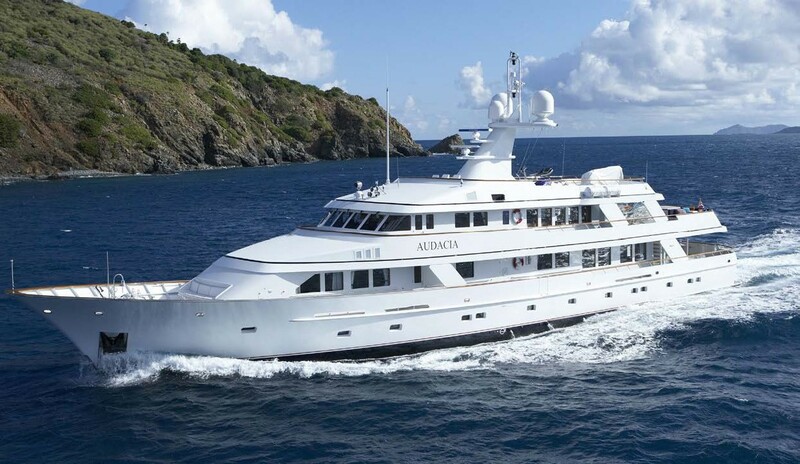 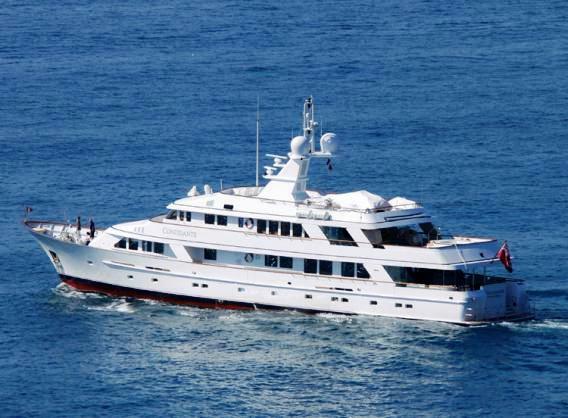 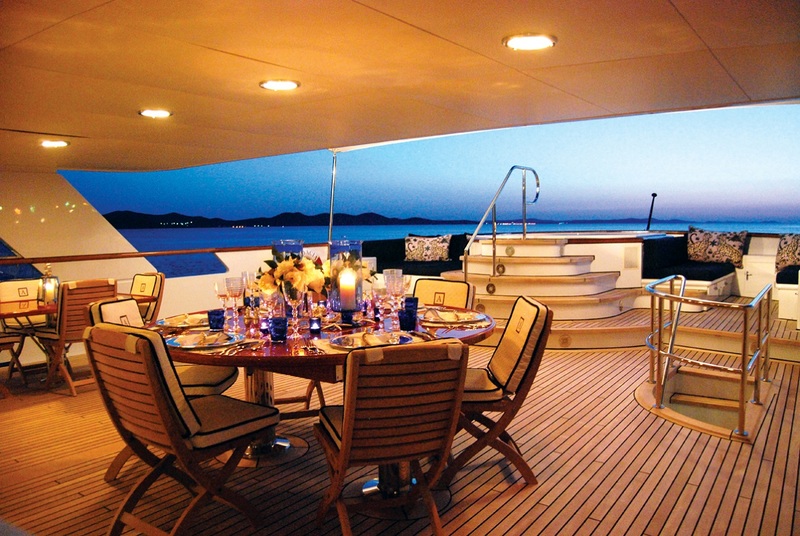 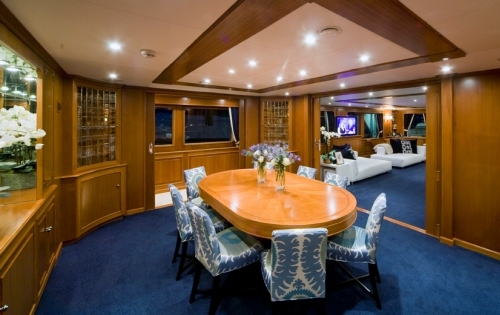 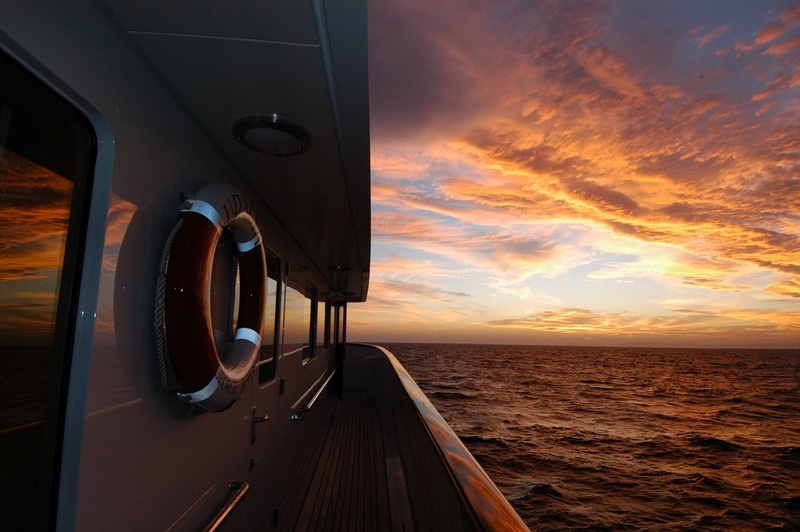 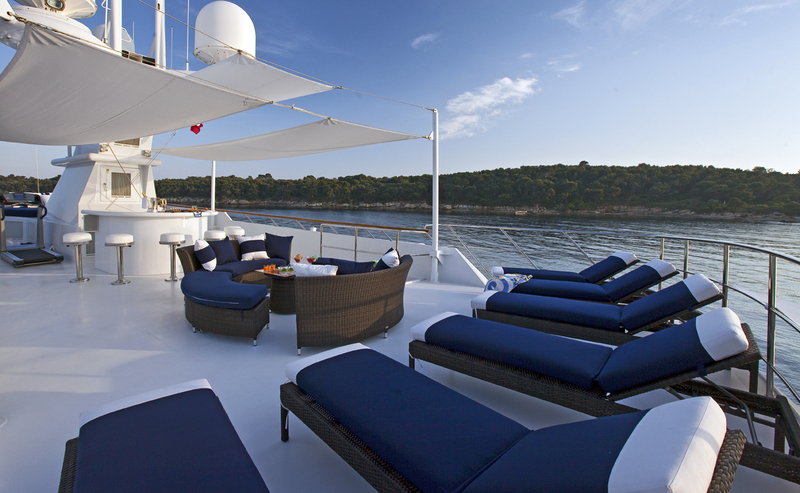 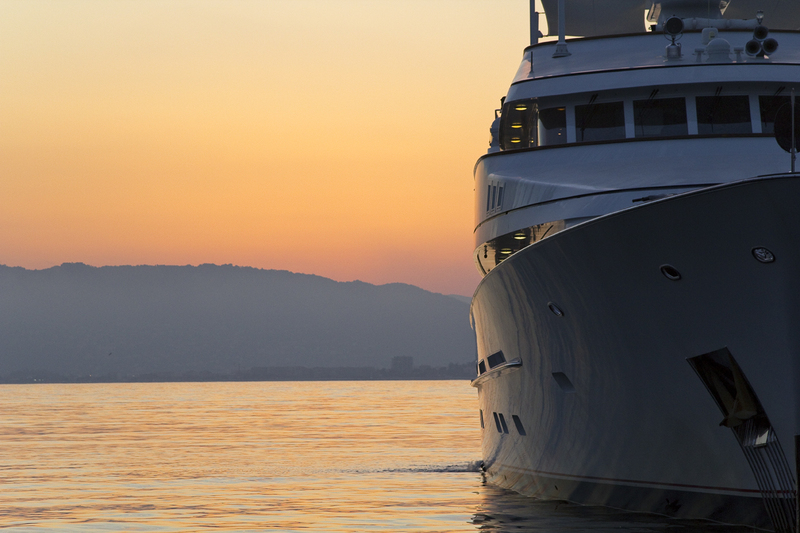 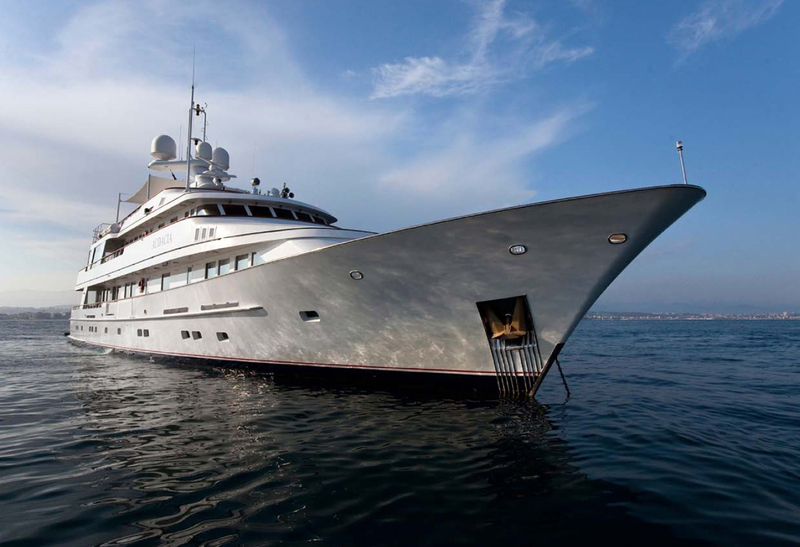 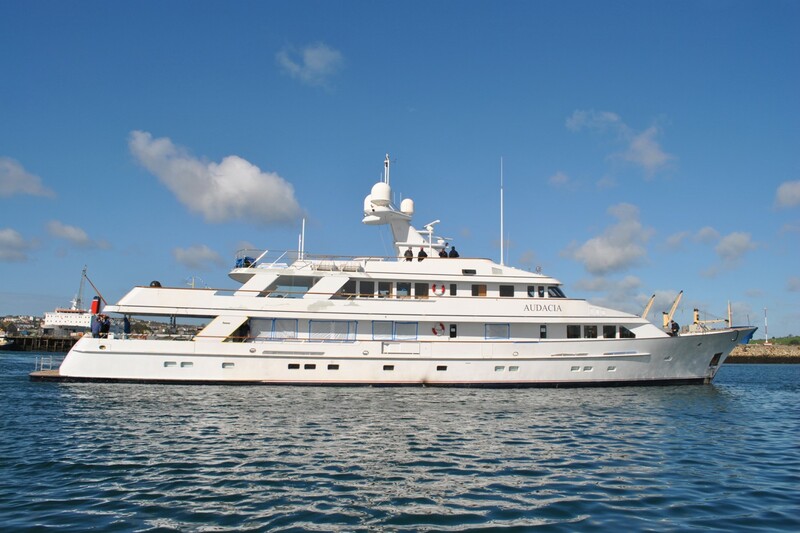 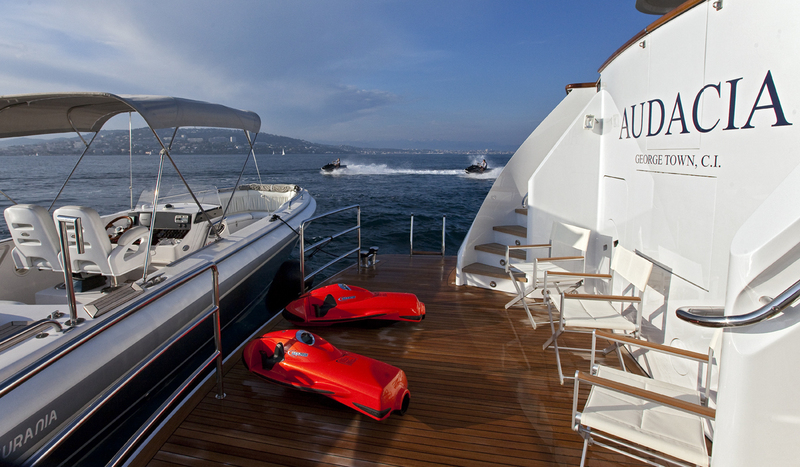 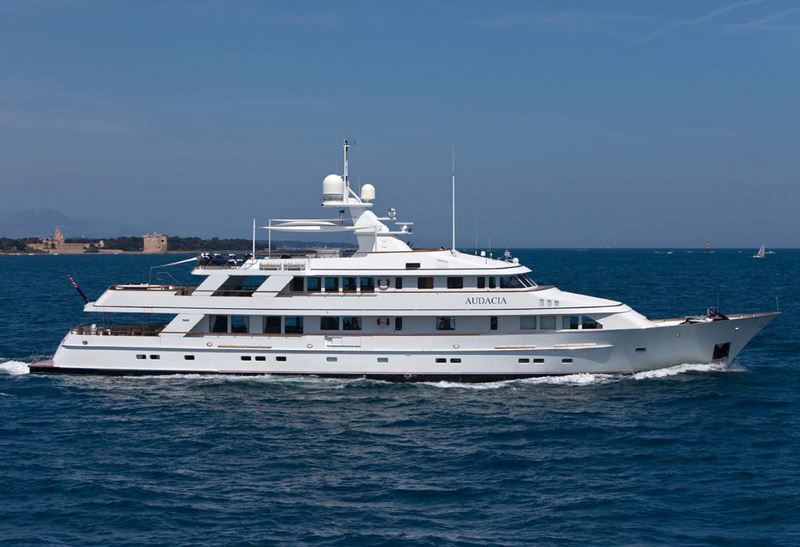 Audacia finished an extensive refit in 2011 completed by Pendennis shipyard in Falmouth, England. 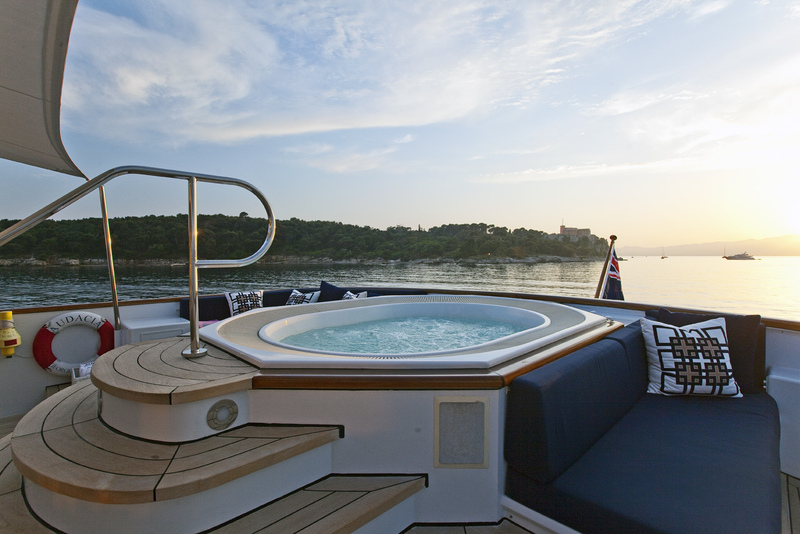 Her new stern was completely redesigned in a more contemporary Feadship style, the swim platform was extended by 6’6”/2 meters; a pair of curving stairways, an outdoor shower and new underwater lights were added. 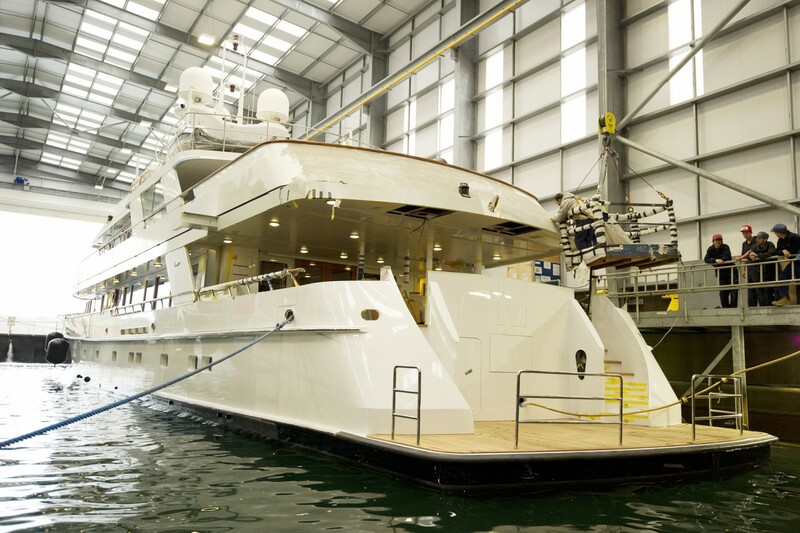 In addition, new Quantum zero speed stabilizers, a retractable crane in the bow and new air conditioning condensers were installed. 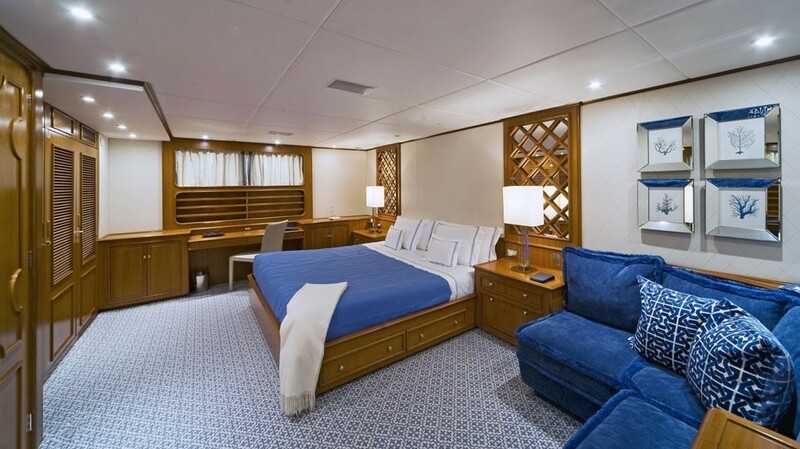 Guest Accommodation The master cabin with king size bed (1.7m x 2m) is situated on the main deck with a his (bath+bidet) and hers (shower+ biddet) bathroom. 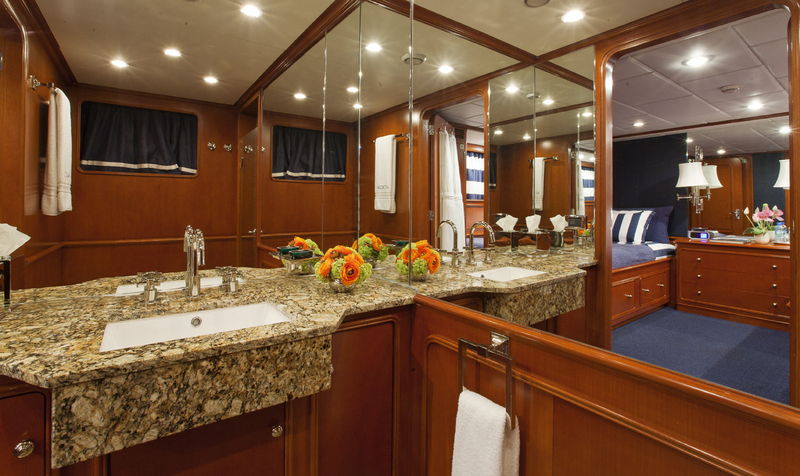 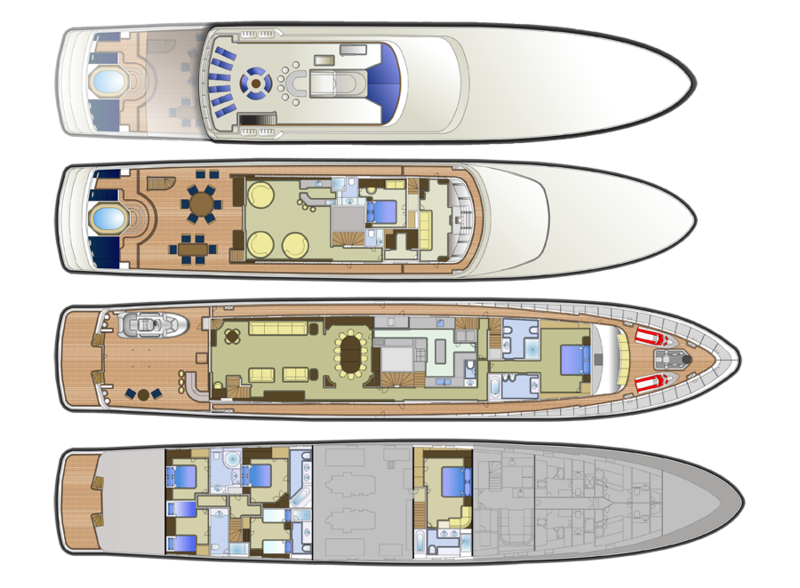 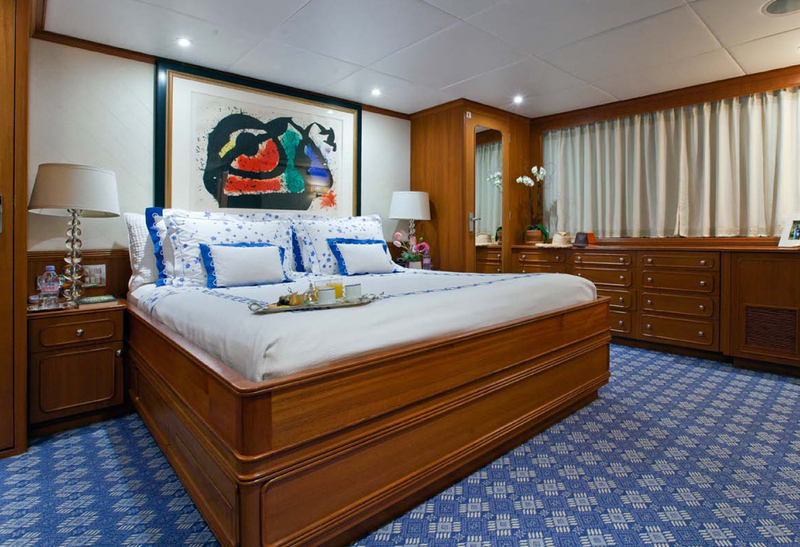 A large full-width VIP stateroom is located on the lower deck midships with king size bed (2m x 2m) and en suite bathroom with shower + bath. 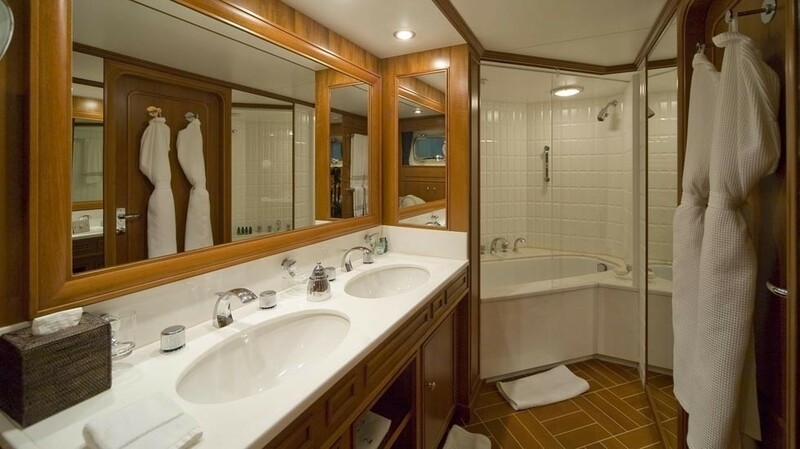 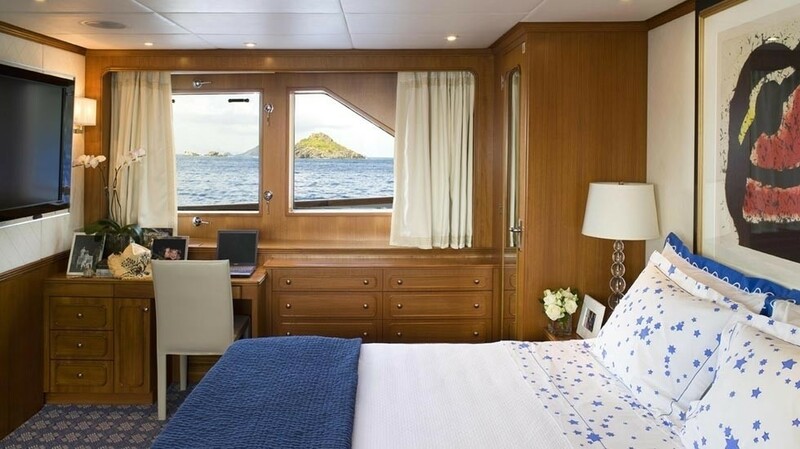 Also situated on the lower deck are two queens (1.5m x 2m) and two twin guest cabins (0.95m x 1.95m) all with showers and one double with a bath.